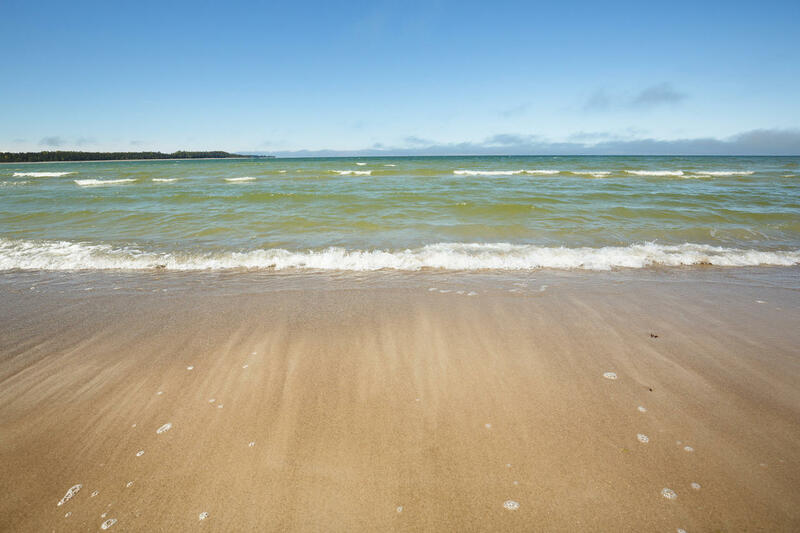 With its appearance, the beautiful sandy beach north of Peraküla resembles the ocean – a straight wide sandy beach, where the big, heavy breakers roll up on windy days. 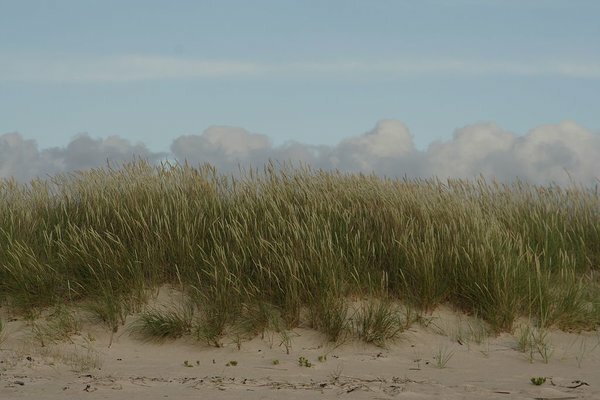 The beach is rich for its dunes – all the landforms in the pine forest by the beach have been piled up by the forces of the sea, in addition, high dune ridges can also be found on the beach. 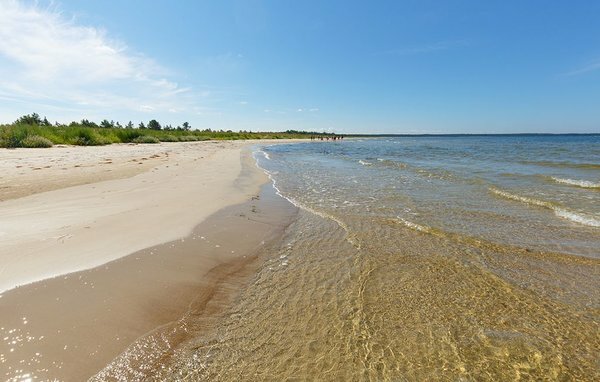 The sand of Peraküla beach “sings”. If you step on the sand barefoot on a dry day, you can hear and feel the creaking and crunching under your foot – the grains of sand create sound when they rub against each other. This “song” can also be heard on a windy day when the wind twirls up the sand. This “singing sand” can be examined under the microscope in the nearby Nõva Visitor Centre. 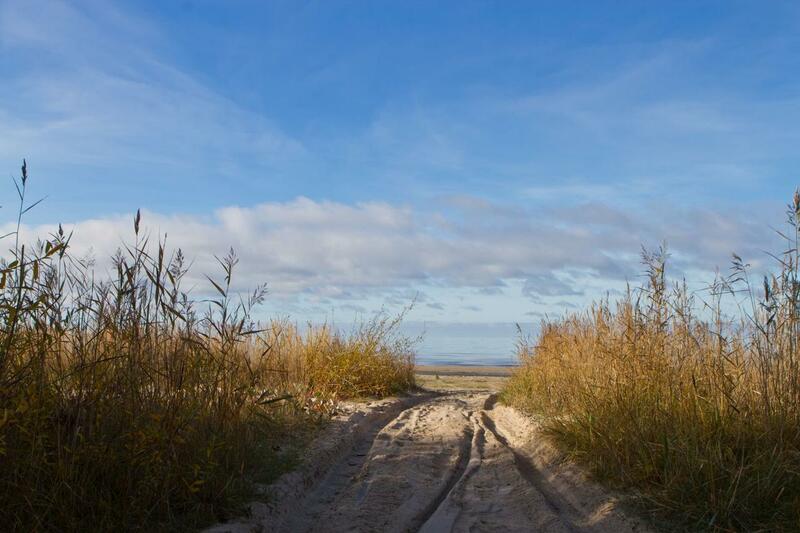 Near the village of Alliklepa lies a beach that is not covered in sand but in small shingle. The water is shallow near the beach and there are a lot of boulders – this stretch of the coast is a favourite place of a lot of sea birds. 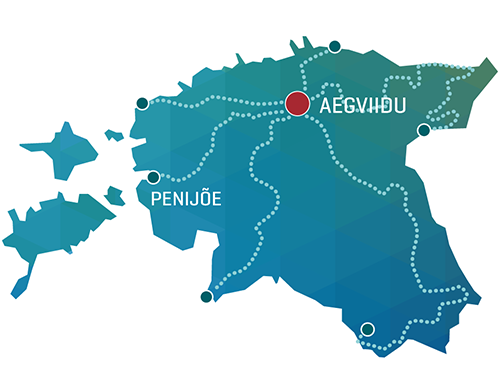 Because the area is on the migration route of European birds, flocks of migratory birds pass through the area in spring and autumn – an otherwise idyllic and quiet beach suddenly becomes filled with a noisy bird chorus. The water of Lake Rummu near the former Murru prison is very clear. 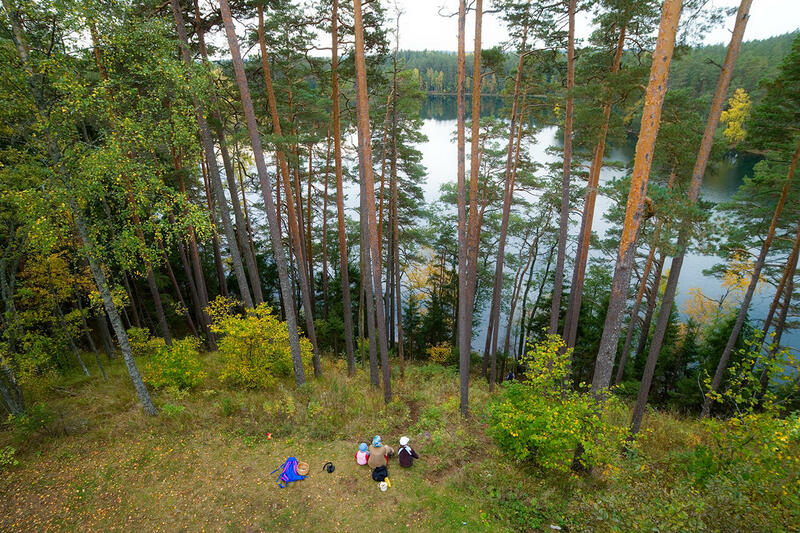 In fact, Lake Rummu is nothing but water that has flown into an old gravel pit – the lake is entirely man-made and created by the prisoners detained in Murru prison. When the mine closed in the beginning of the 1990s, the groundwater and the surface water started seeping into the pit, and it filled up with water relatively fast. 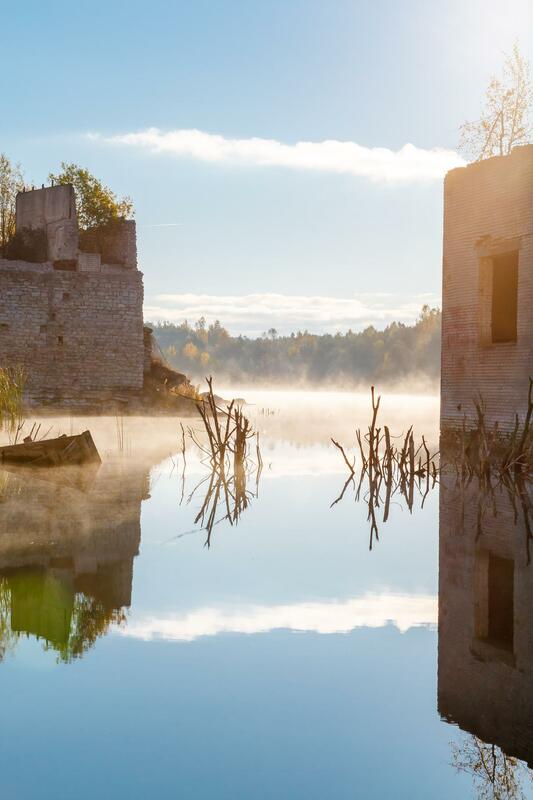 As a result, a lot of the mining machinery, some buildings, and a bit of the forest that had grown on the territory of the mine were left underwater. 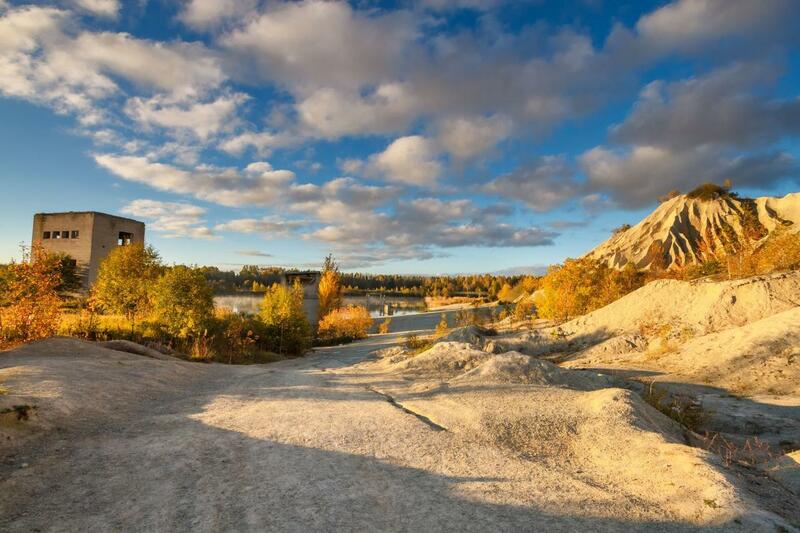 Because the water of the pit lake is very transparent and there are numerous exciting things to be found at the bottom, Rummu quarry has become an internationally known dive site. 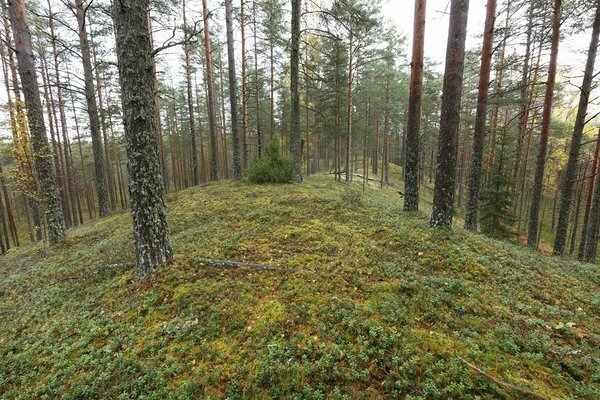 There are mysterious stone ridges in the forest of Kivastiku, as if someone had tried to build a stone wall around their farm but didn’t manage to keep a straight line – the stone ridges are winding and, in some places, even piled up as terraces. Instead, these are old beach formations that have formed after the last ice age when the Baltic Sea receded, and the land rose from the sea. The seashore stopped here for a longer period, piling up the beach ridge that has now been buried deep into the forest. 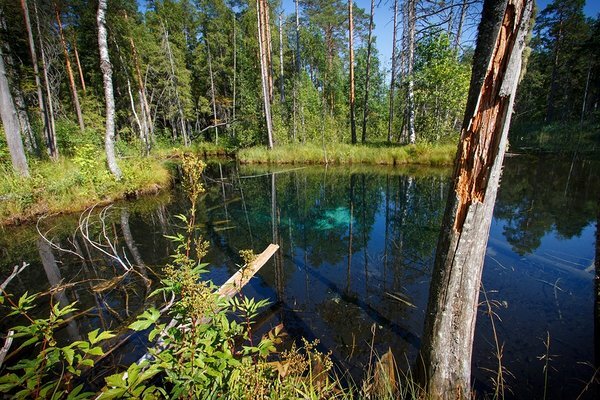 The Blue Springs of Saula have been known as a holy place from very early times – it is said that if washed with it, the water of the Blue Springs cures all the sick. But before water could be taken, money had to be thrown into the spring. 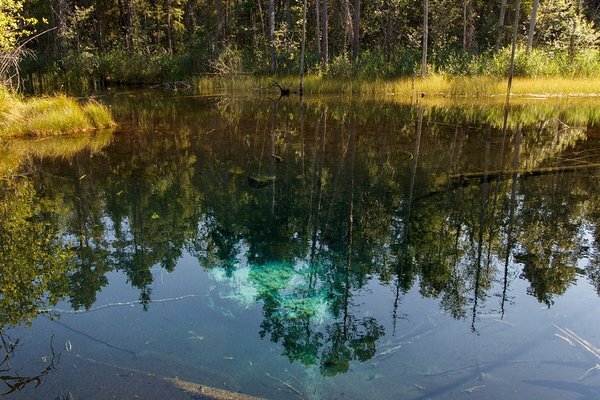 In fact, there are three springs in this area with different water colours: The Blue Spring that has greenish-blue water; The Black Spring that has brownish-black water, and The White Spring that has greyish-white water. The colouration is caused by the shade of the ground soil and the reflection of light through the clear water from the sand particles floating at the bottom of the spring. 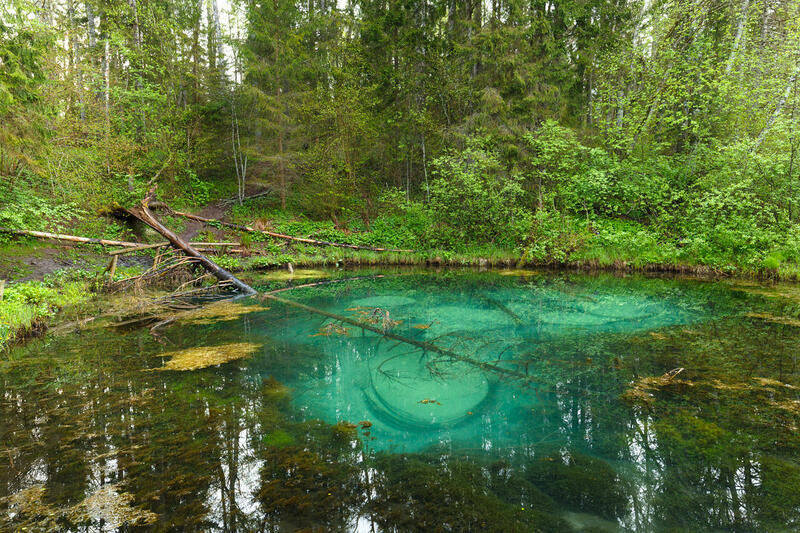 The Blue Springs of Saula have been used as a sacrificial spring – sacrifices were made to the nature spirits to ensure good health and luck. What exactly was sacrificed in the olden times is not known, but money was mostly sacrificed in more recent times. 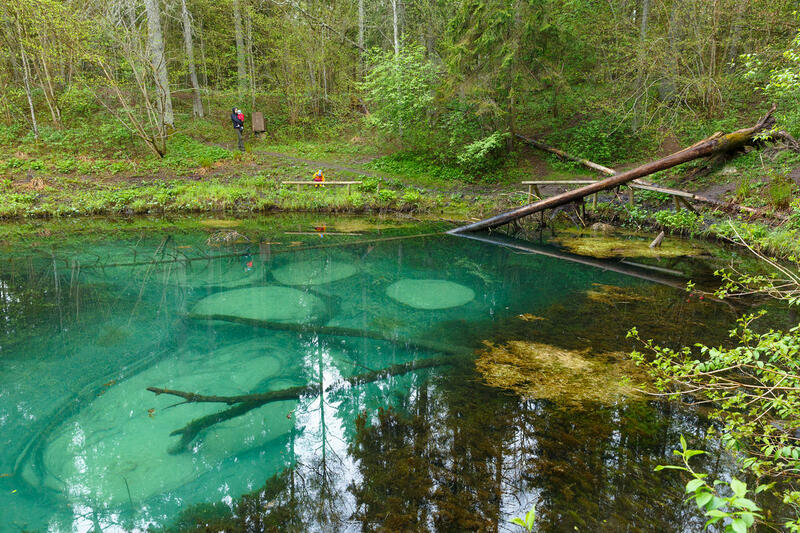 The water of the Blue Springs was said to have healing properties, but only if money was sacrificed to it first. If someone uses the spring's water without offering a sacrifice, Blue Springs' Tölp (the guardian fairy of the springs) would later appear in their home to claim the debt. Another water spirit was also formerly often seen near there, by the old bridge of Saula – a nicor with long golden hair. 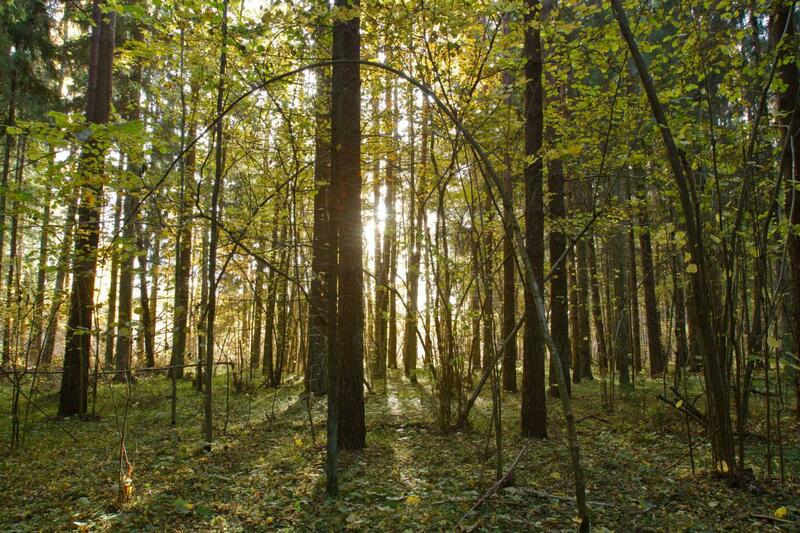 The forest of Oandu is in many ways a textbook example of the forests of Estonia and of forest management. Valaste Waterfall or rather, cascade, is one of the most beautiful small waterfalls that only has a lot of water during the heavy rainfalls in spring or autumn. 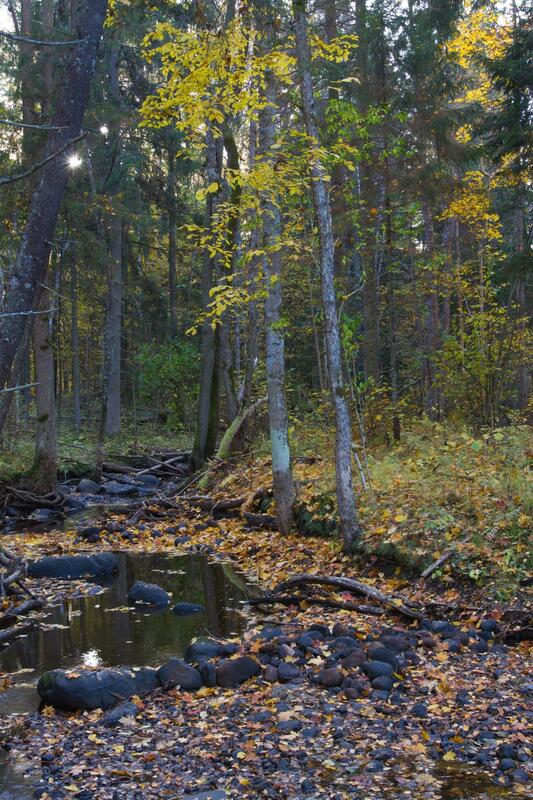 The limnocrene springs of the little karst area – the secret river of Valgejõgi, are near the waterfall and upstream from it. 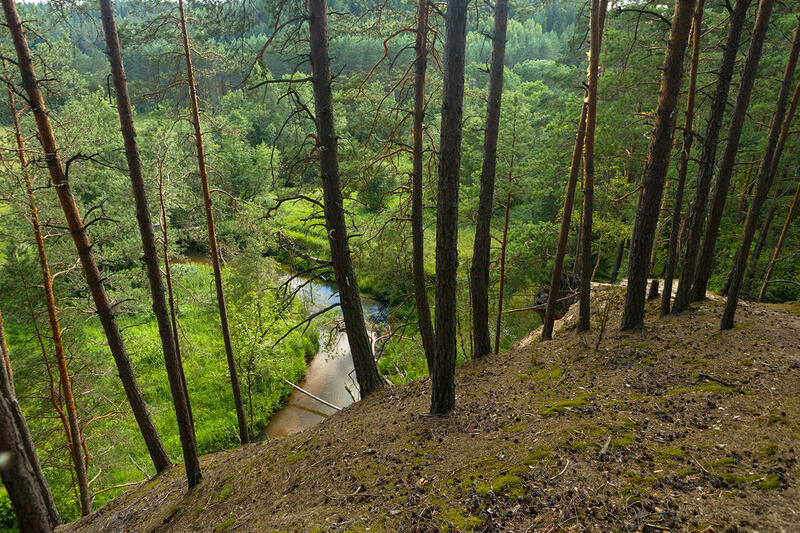 In Vasaristi, the river valley of Valgejõgi reaches its maximum depth (about 35 metres) and width (about 600 metres). 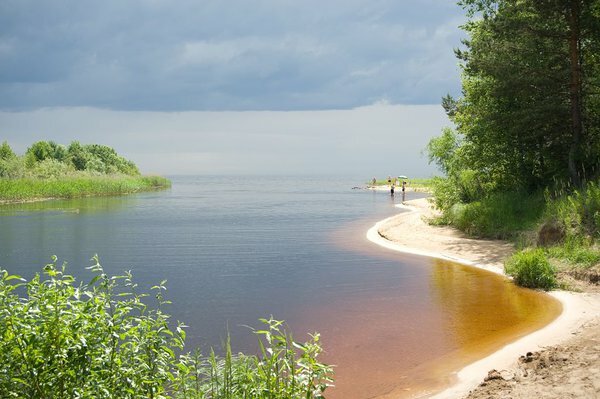 The rapid increase of the depth and the width of the valley causes Valgejõgi to exit the canyon into the klint bay that is full of loose sands and clays that were formed during the melting of continental ice. 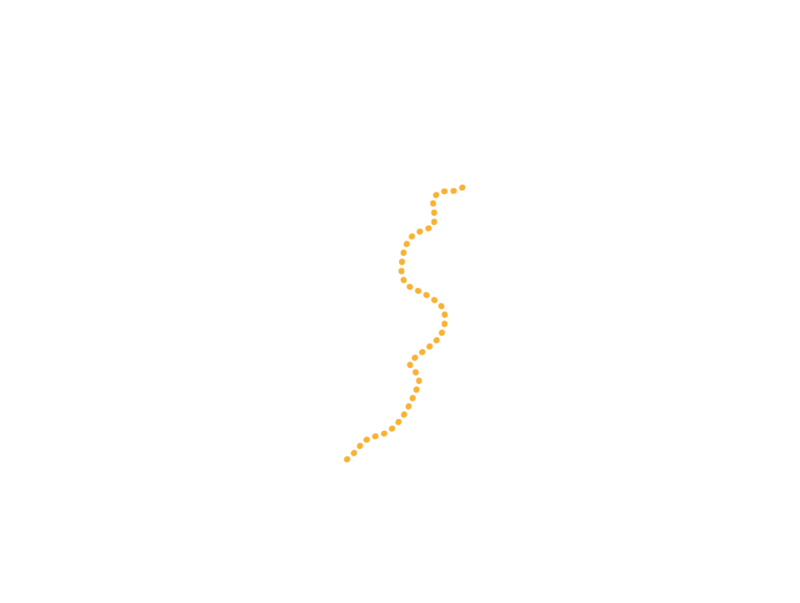 The difference between the hardness of the rocks flushed by the river allows Valgejõgi to act according to its flow rate and velocity. 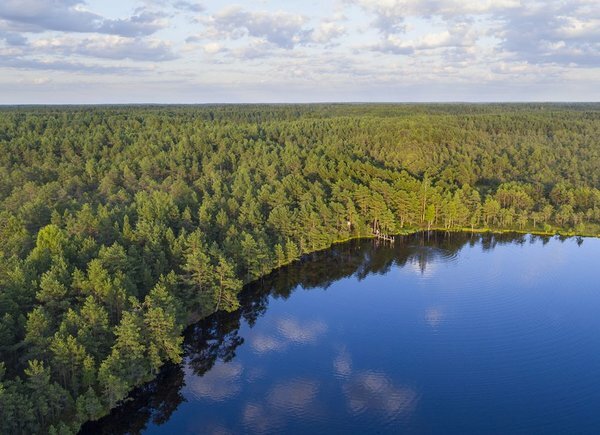 The result is a picturesque valley with high banks that geologically is, without doubt, one of the most interesting ones in Estonia. 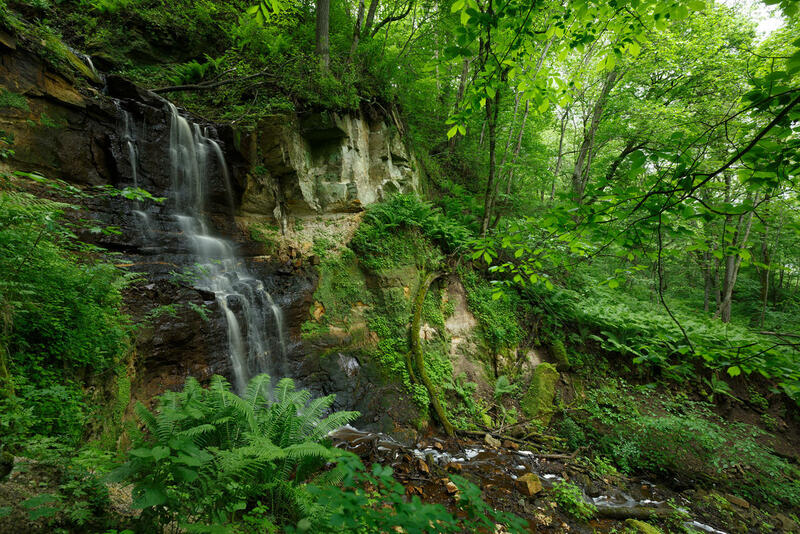 There are other similar small waterfalls on the North Estonian Klint. 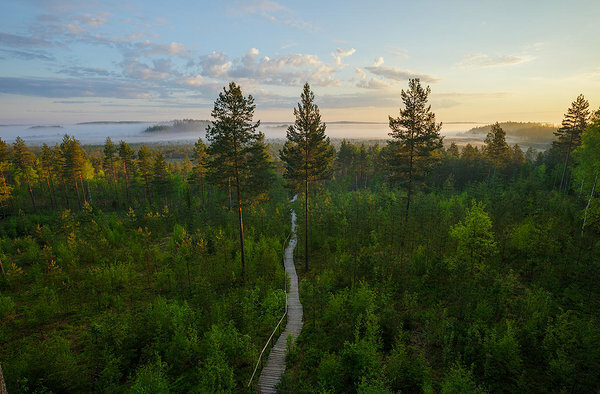 Viru Bog is, without doubt, one of the most well-known bogs in Estonia – it is a picturesque piece of bog that is a textbook example of a bog – there you can see everything characteristic to a bog. Thick peat layer, species-poor flora, mire lakes, and bog hollows are all represented. (Bog hollows are wet depressions that temporarily fill with water, consisting of water-filled peat.) 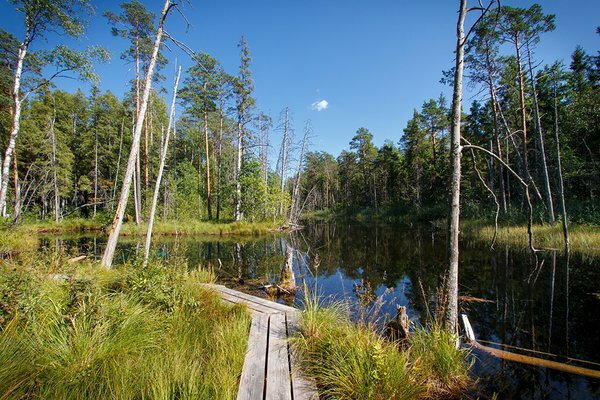 Viru Bog is also very accessible to those interested in it. 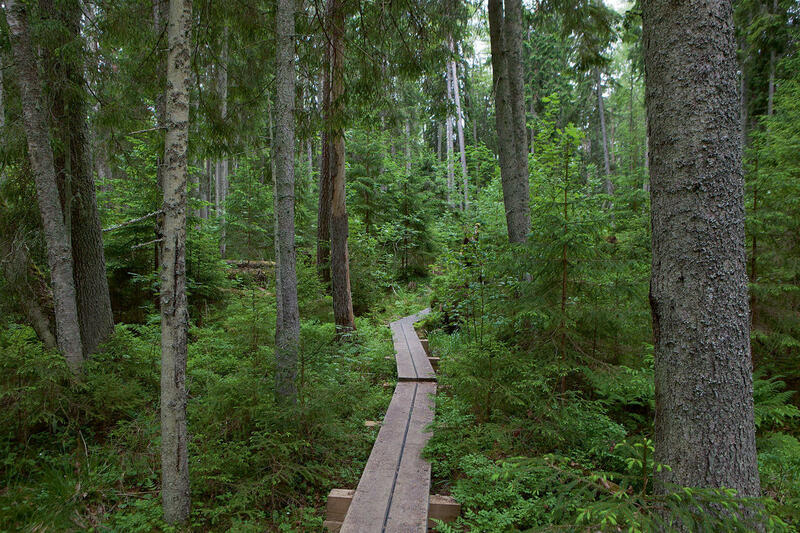 It is situated near a big road and a plankboard trail goes through the bog. 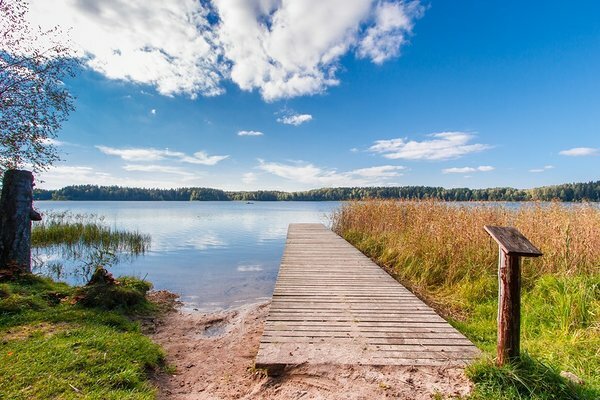 Paukjärv is, without doubt, one of the cleanest lakes in Estonia. The water of the lake can be drunk directly without any processing, without being afraid of stomach issues or other problems. Paukjärv is spring fed. The lake gets its water from the springs at the bottom that get their water from the surrounding bogs where the water is very thoroughly filtered. 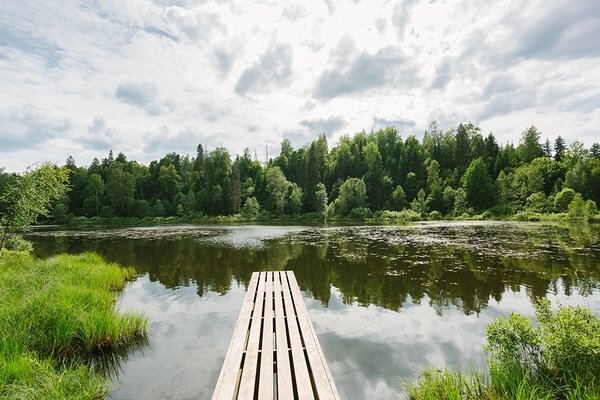 The water of Paukjärv is very clear, the transparency here reaches almost 6 metres. 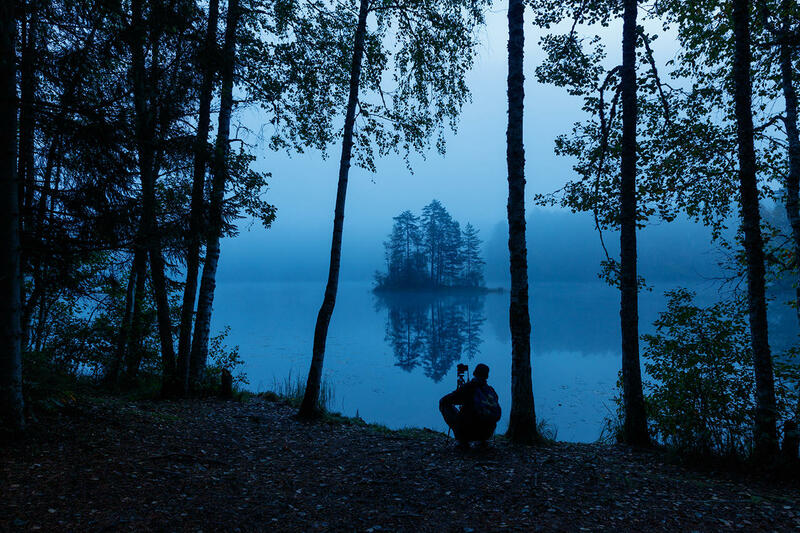 The lake gets its name ("Bang Lake") from the peculiar acoustics of the surface – if you clap your hands near the surface of the lake, it will sound loudly all over the lake and echoes back several times – the lake is surrounded by eskers that act as walls, mirroring the sound. 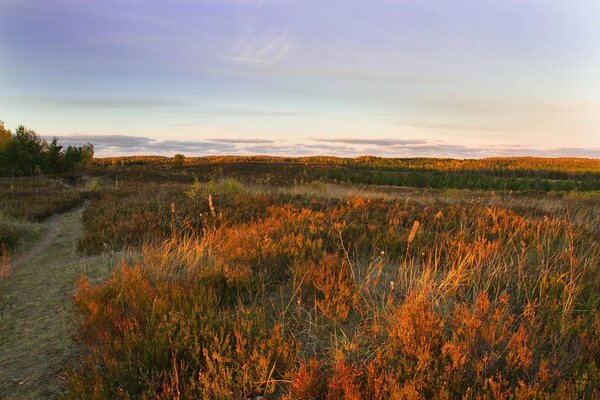 Jussi Heath is a unique biotic community in Estonia – the bare heather heath that very much resembles the mountain heath of Scotland or the tundra of Lapland. In fact, Jussi Heath is man-made. 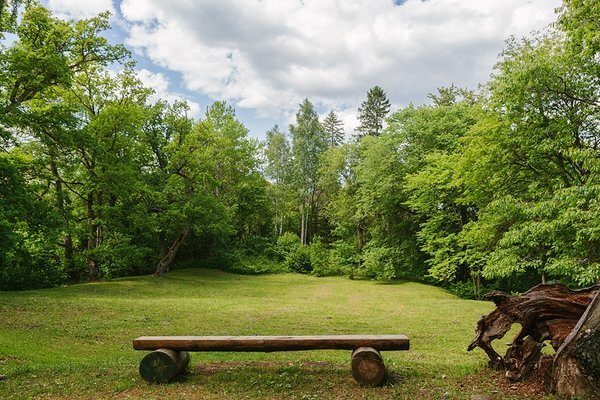 In 1953, the military training area of The Soviet Union artillery was founded here. As a result of the training, the forest surrounding the lakes of Jussi caught fire and burned to the ground several times. The soil layer was also burned through which is why plants higher than heather could no longer grow well here. The dry heather heath has also burned repeatedly. Missile and bomb funnels and fragments are also a sign of the activity of the artillery of the Soviet Union. 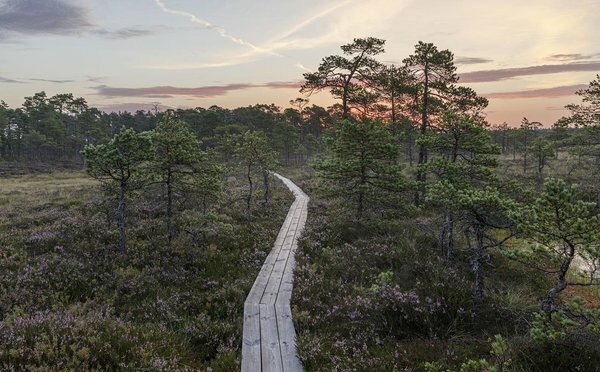 Because Jussi Heath hasn’t burned during the last couple of decades, the trees and bushes are slowly returning – strangely, using the area as a military training area kept the heath as it was and prevented succession. 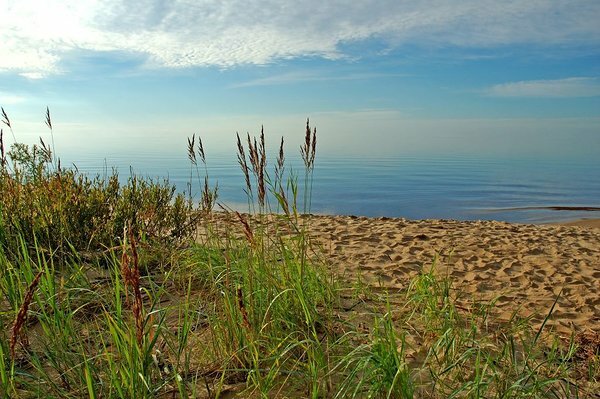 Under the mighty beach pines, a beautiful golden sandy beach stretches almost on the entire northern shore of Lake Peipus. The southern sides of the lake, though, are completely different. They are swampy and grassy. 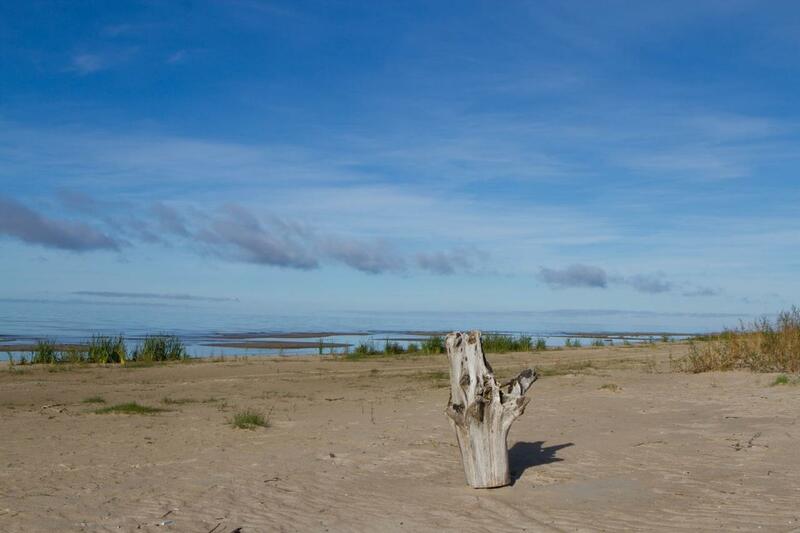 The only places you can encounter a sandy beach are in the areas surrounding Kallaste. 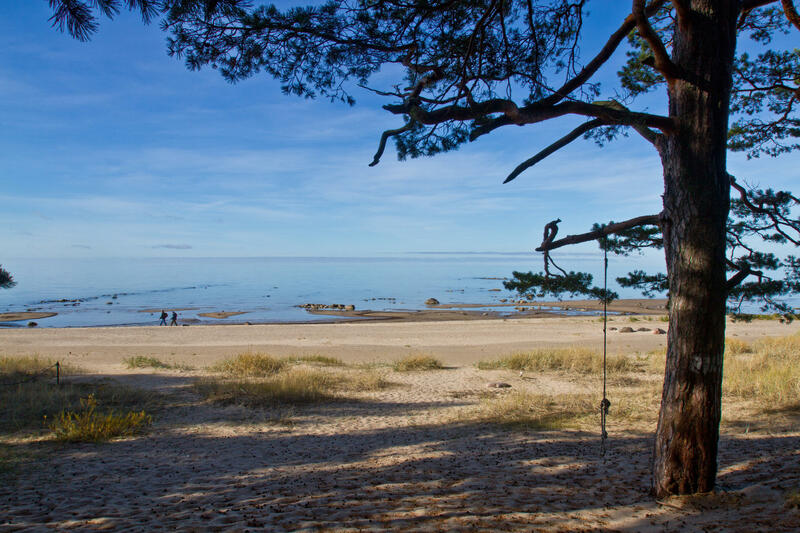 The northern shore of Peipus has always been a popular vacation spot, and it is also one of the longest sandy beaches in Estonia – the length of the beach strip from east to west reaches 40 kilometres. 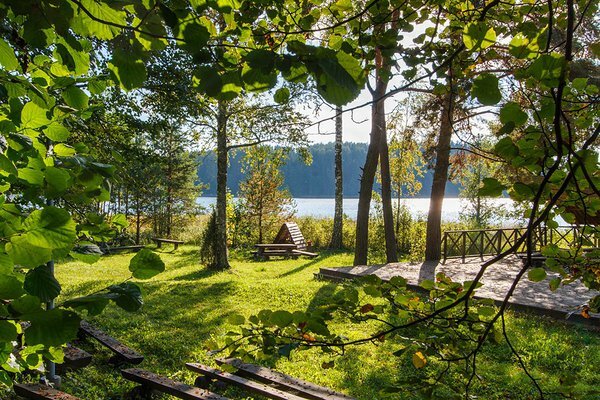 The northern shore of Peipus has been a very popular summer vacation area for a long time. The beautiful wide sandy beach, the pine forest by the beach, and the water that reaches warm temperature faster than the sea have made the area popular among a lot of holiday goers. That’s why, on sunny days, the beach is as crowded as the world-famous beaches in Miami or Rio de Janeiro. 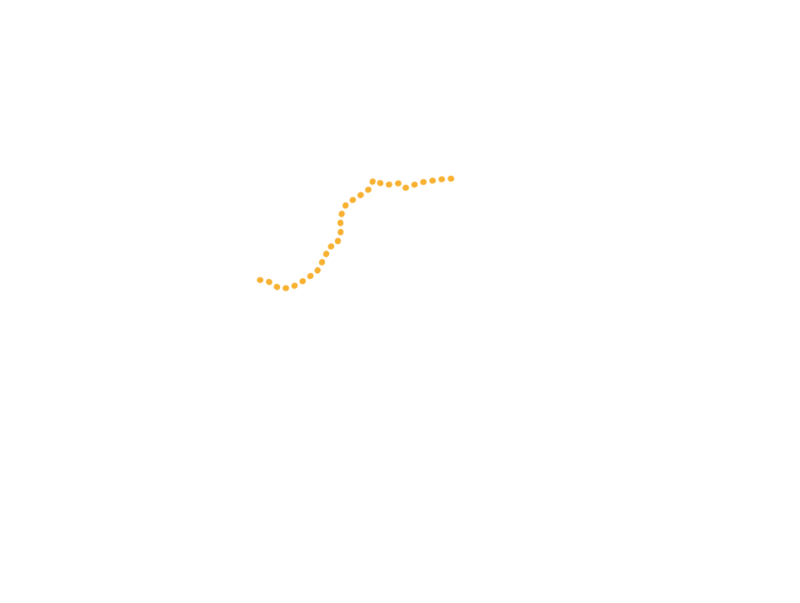 “Kriiva” is actually the crest of a sand dune, similar to the crests of the dunes found in the Sahara desert, though much smaller, of course. 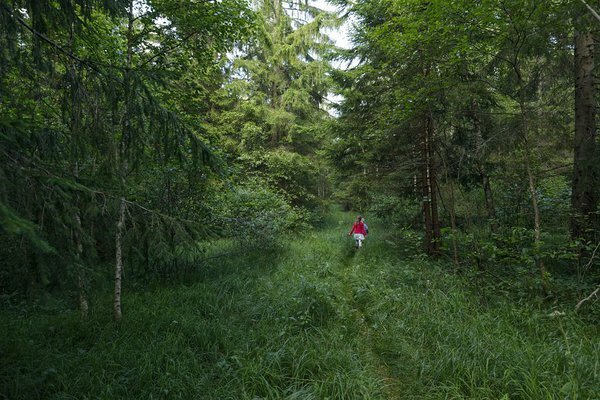 There are several kriivas in the Agusalu forests in Ida-Virumaa – the high and narrow sand ridges running through the bogs and swamps that can be used for navigation by people and animals. 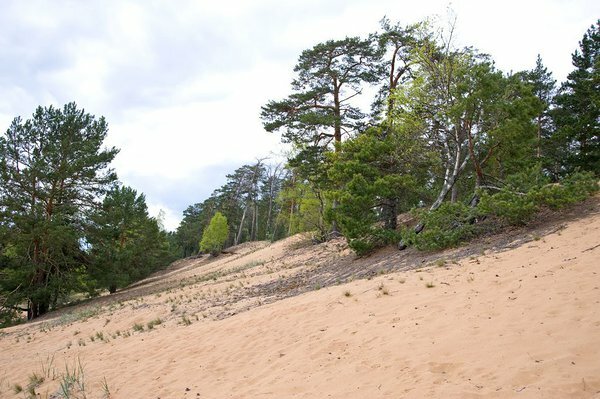 The origin of the kriivas is still unclear – these are sand dunes located deep in the mainland – other sand dunes in Estonia are situated in the coastal areas of bodies of water. 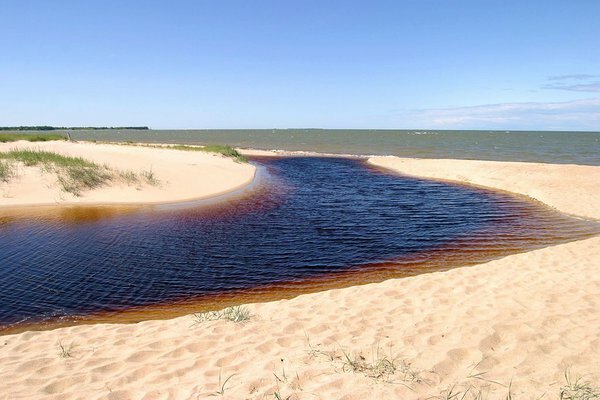 They are most likely the beach formations that have formed after the last ice age when Lake Peipus receded, but it is also thought that they might be continental sand dunes formed by the wind in the post ice age cold desert. 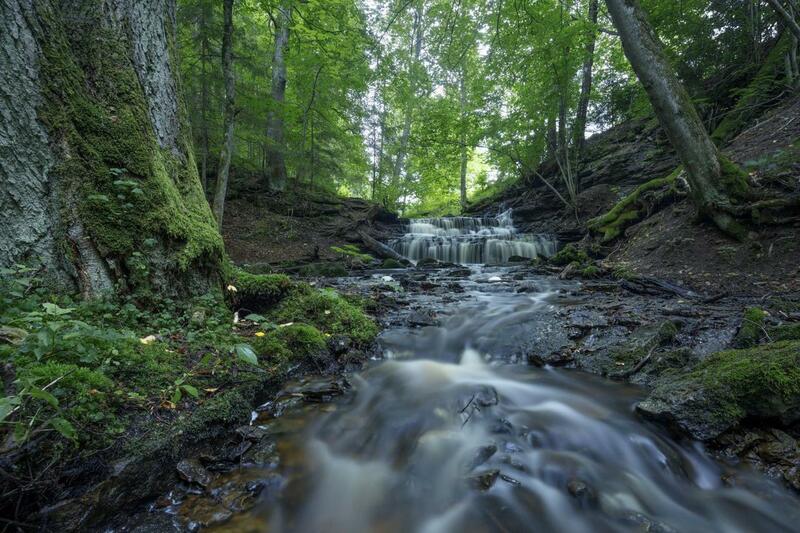 The highest waterfall of Estonia – Valaste Waterfall which is 30.6 metres high, is situated in Valaste. Rushing straight down from the edge of the cliff, it offers a particularly lovely view in spring; during dry summers, on the other hand, the water can completely disappear from the Valaste Brook. In winter, the water builds glorious castles around the waterfall – the splashes of water form mighty pillar halls around the waterfall bed, finely crafted ornaments and peculiar sculptures that seem to be made by a slightly odd sculptor with a steady hand. In fact, the Valaste Waterfall is partly man-made. In the end of the 19th century, the little brook flowing off the edge of the cliff was dredged to make the fields established on the cliff a little drier. 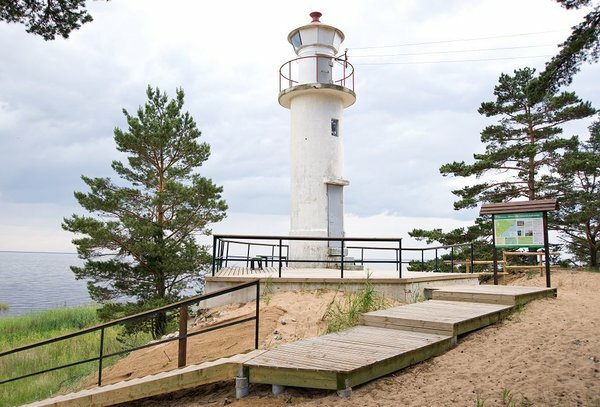 The Baltic Klint (the ancient system of beach terraces in the Baltic Sea) reaches its maximum height in Ida-Virumaa, on the 21-kilometre road section between Saka, Ontika, and Valaste. 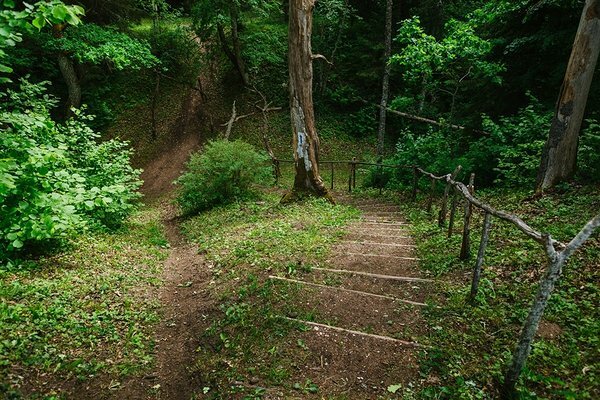 There, the steep bank is practically uninterrupted and reaches it maximum height just above Ontika. 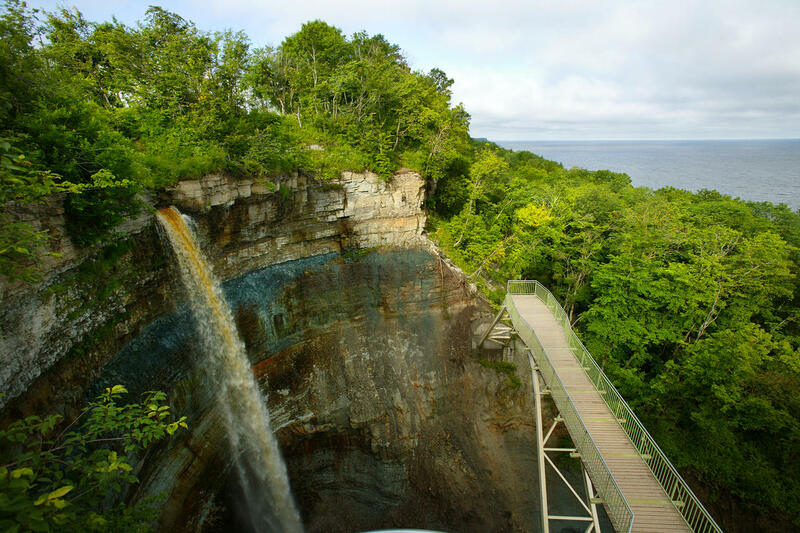 Here, the free fall from the edge of the klint is 56 metres. The stones exposed in the rock wall, though, are ancient – the upper limestones are approximately 450 million years old, the sandstones and blue clays situated lower are up to 570 million years old. The most prominent eskers of Estonia are situated in Neeruti, on the Western slope of the highlands of Pandivere. 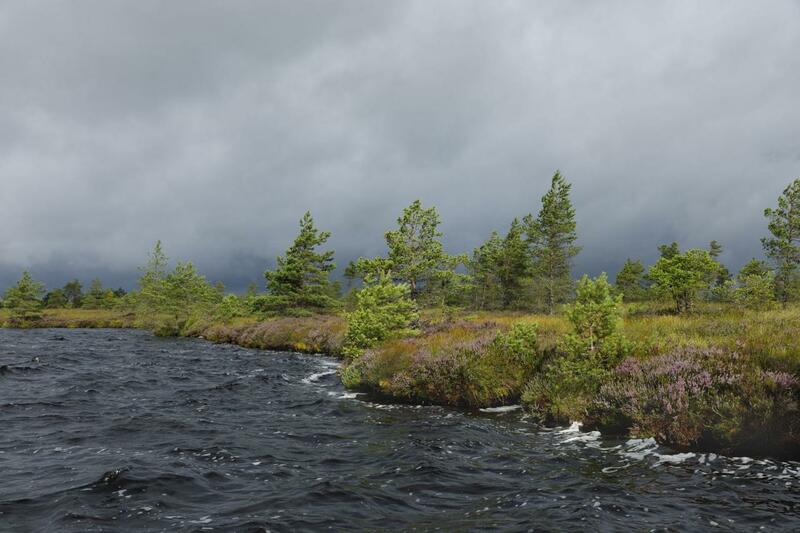 A species-rich forest grows on the eskers and kames; in the depressions, several small lakes have found their place. The relative height of the numerous hills and eskers is between 25 and 30 meters, however, the altitude above sea level is higher, the highest peak here is 128 metres. The peculiar landscape of the area has given reason to many legends. It is believed that the place has gotten its name from the tales of Kalevipoeg. There, the hell hounds are said to have torn apart Kalevipoeg’s horse and its kidneys plunged deep holes into the ground that later became lakes. 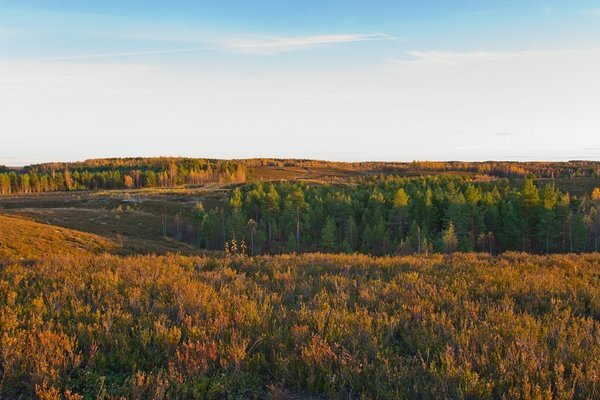 Like most of the landforms in Estonia, the eskers of Neeruti have formed during the last ice age 12,500 years ago when the biggest glacier abrasion area of North Estonia – the Pandivere Highland – was freed of the ice cover. The sludges that melted from the ice were accumulated into the glacier streams that ended up forming eskers and drumlins characteristic to many places in Estonia. 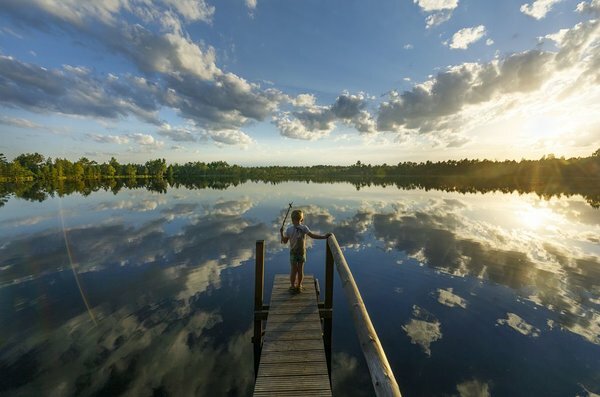 Lake Ähijärv is situated in the heart of Estonia’s most southern national park, the Karula National Park. Karula National Park is the smallest and hilliest national park in Estonia – most of the highlands of Karula belong to the national park. 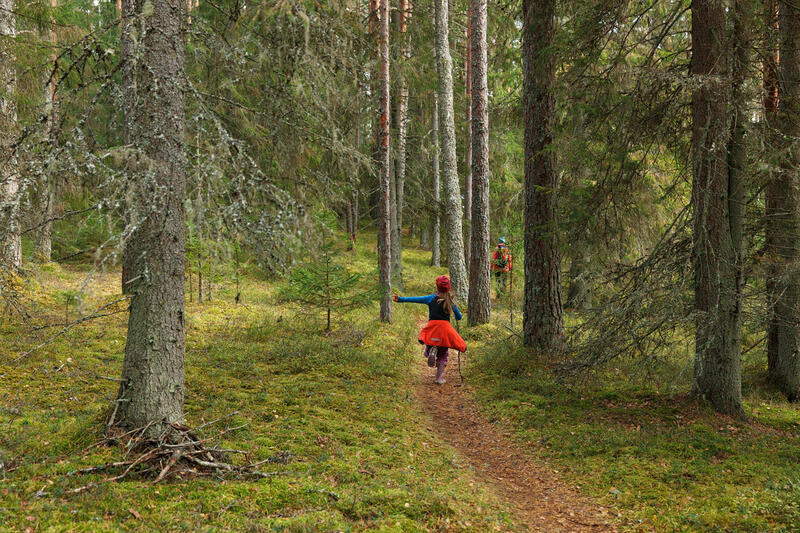 Hills can also be found on the shores of Lake Ähijärv that is 181.2 ha in size – Suurmägi in the east and Tammemägi in the west, in the south, however, the forested sand plains start. Farmlands are mostly in the northeast and east, forest and grassland dominates elsewhere. 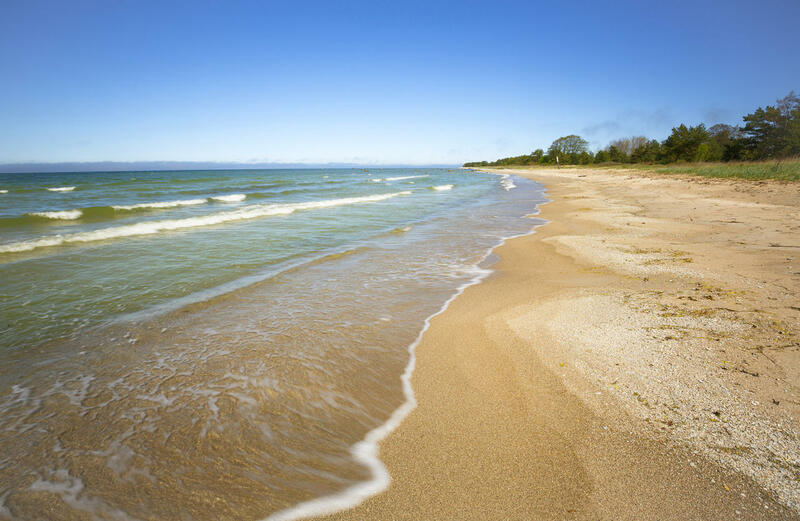 The southern part of the lake is paludified – the shoreline there is pretty difficult to determine since the water surface subtly transforms into a floating mat and the shape of the shoreline changes every year. The origin of the name of the lake is not completely clear, but it has most likely come from the fact that it was formerly rich with crayfish.  Therefore, “Ähijärv” has simply come from the word “Vähijärv” (Crawfish Lake). Natural stonewalls with their bright colour that tower near the Piusa River are eye-catching all year round. 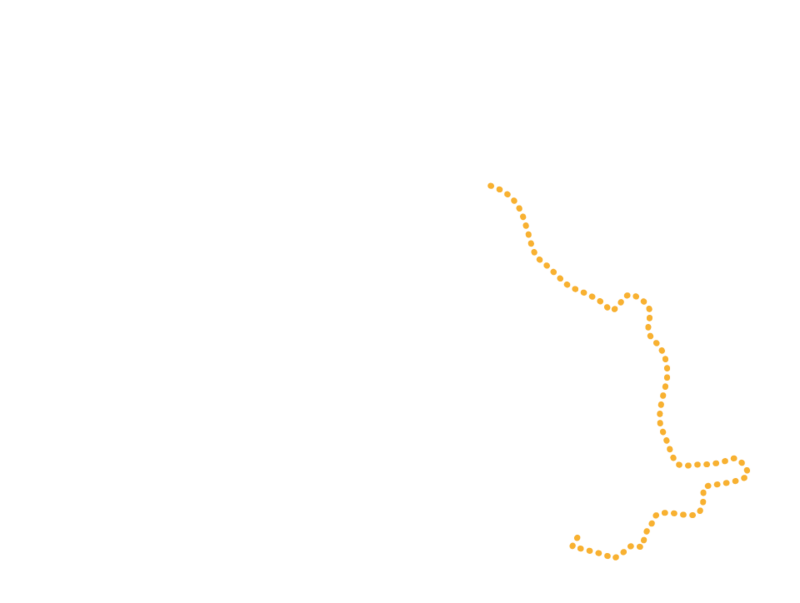 During the millennia, the Piusa River has eroded a 20 metres deep canyon into the sandstones and its walls are exposed by the river – bright yellow, faint yellow, orange, greenish, and greyish rock walls, on top of which grows an evergreen forest. Härma has two walls. 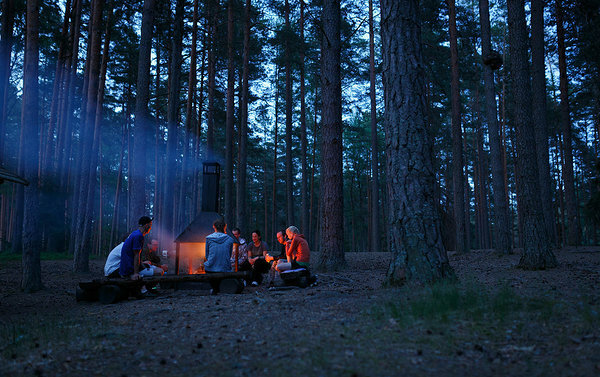 The lower wall, Kõlgusniidu Wall, is a 21 metres high sandstone wall surrounding the riverbank, opposite of which is a campfire place where the wall can be seen in all its glory. About 300 metres upstream is another wall, Härma Mäemine, also known as the upper wall. 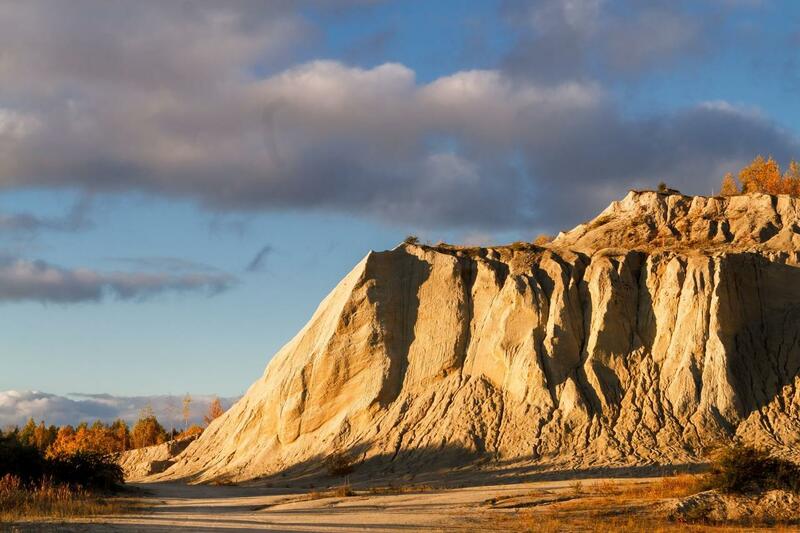 This wall with rather pinkish sandstones is the mightiest sandstone outcrop in Estonia – the biggest height of the wall is 43 metres and it borders the river on a 150 metres long section. Suur Munamägi is the highest peak in Estonia. In reality, it is a relatively low morain hill of about 318 metres. 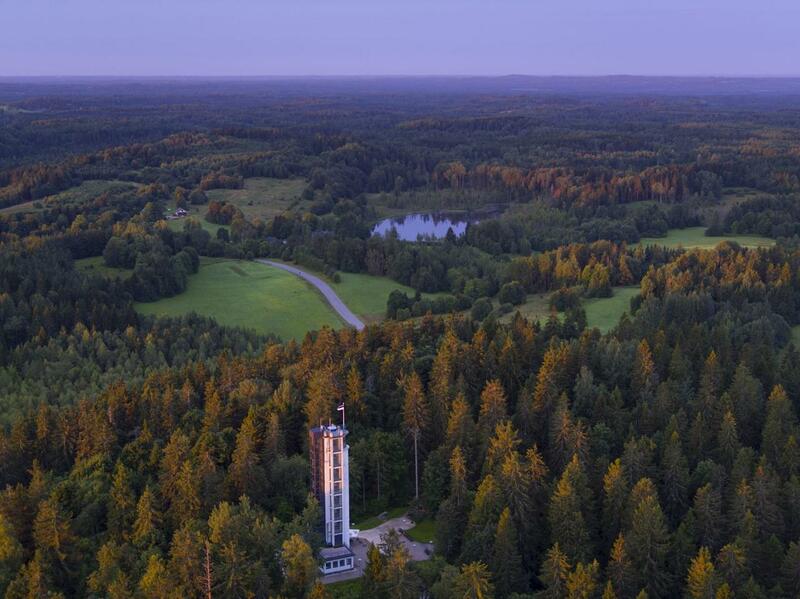 Estonia doesn’t have “real” mountains, but at least we can boast about the highest peak of the Baltics. 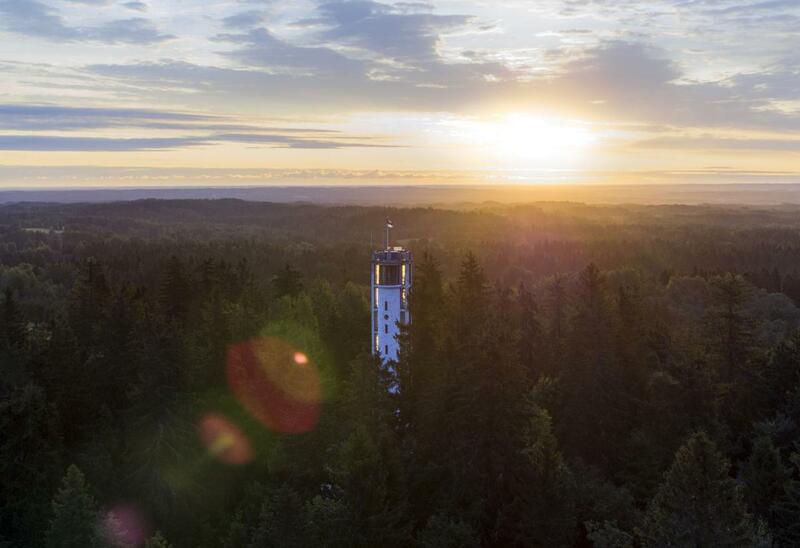 There is an observation tower on top of Suur Munamägi, where you can see three different countries if the weather is good – Estonia, Latvia, and Russia. 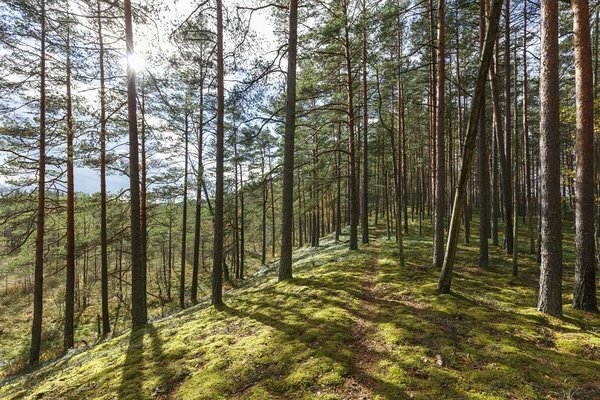 Obviously, we are not dealing with the word “mountain” in its classical sense; all the highlands of South Estonia and their highest hills were formed after the last ice age when sand, gravel, and stones melted from the glacier shield. Imagine walking in a deep, dense, and dim forest and all of a sudden, you come across a completely open, wide sand field – that is exactly what the Tinaliiva Sand Plain is like. 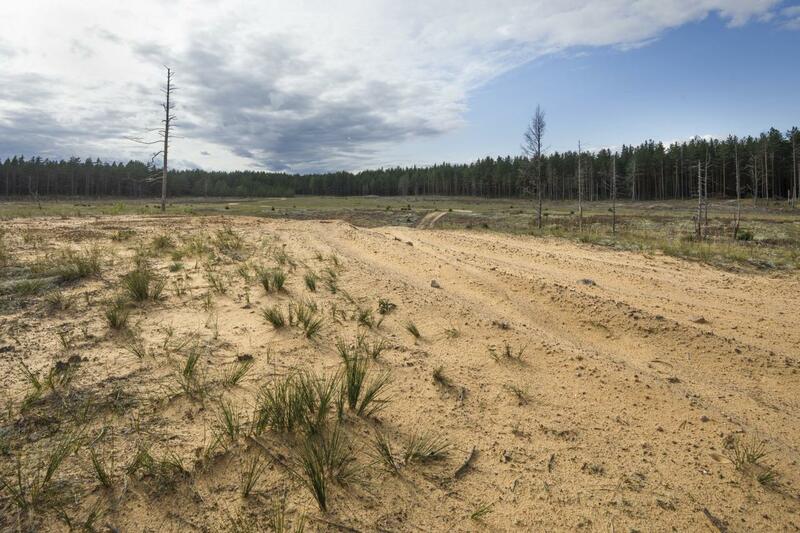 Because there are several bigger and smaller sand plains, the area is also called the Sahara of Setomaa, although its official name is Mustjõe Landscape Protection Area. In the 1920s and 1930s, Tinaliiva was used as a shooting range for the soldiers. Estonian Defence Forces started to use the area as a shooting range in 1923. 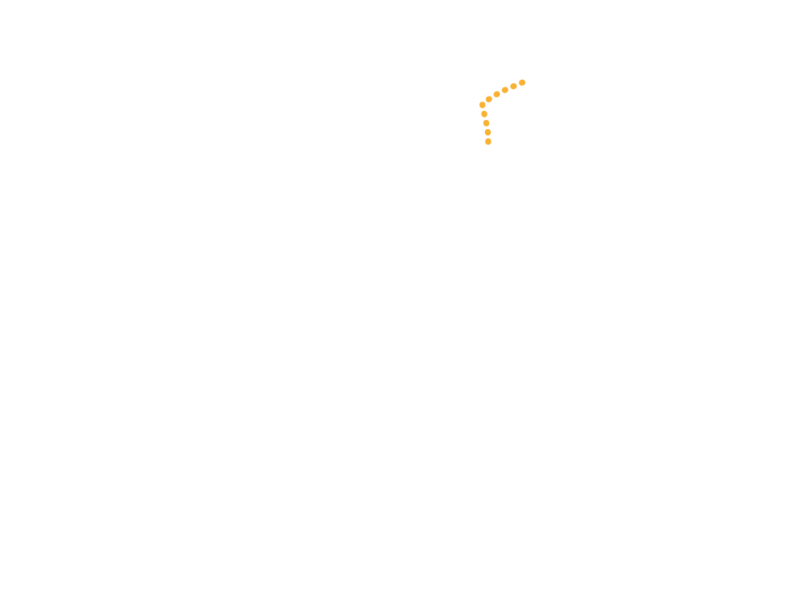 As the defence forces did not have many other practice areas, the shooting range of Petseri was heavily used by all the military units of Estonia. The training of the soldiers was mainly focused towards the collaboration of different forces. There were joint exercises in the shooting range for the cavalrymen, infantrymen, and artillerymen. Because of the nearby railroad, armoured trains near the station of Petseri could also take part in battle shooting. 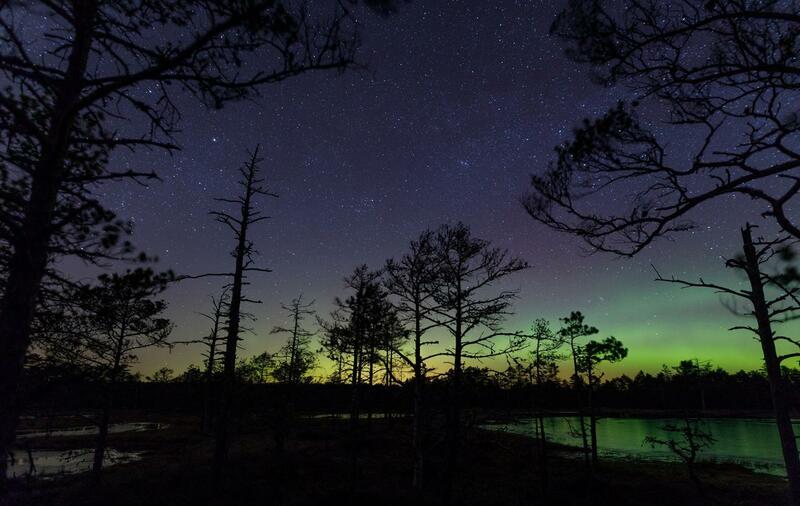 In the southern part of Põlvamaa lies one of the mightiest and biggest bogged areas of South Estonia – the wetlands of Meenikunno. 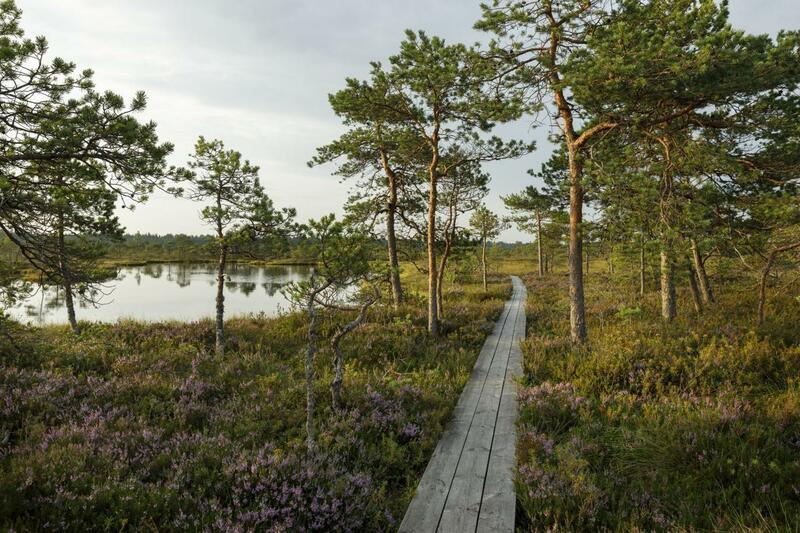 The flora and fauna are rich in the Meenikunno Bog. 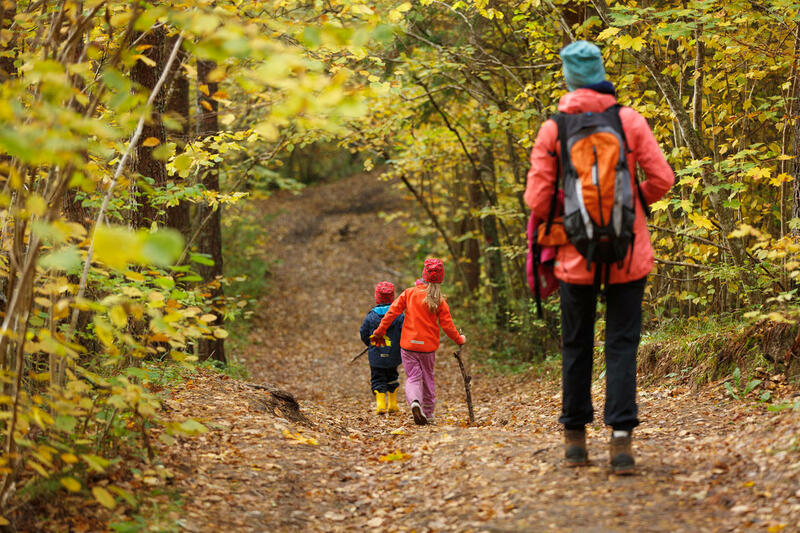 If you’re lucky, you might encounter grouses, foxes, wolves, moose or at least signs of their activity. 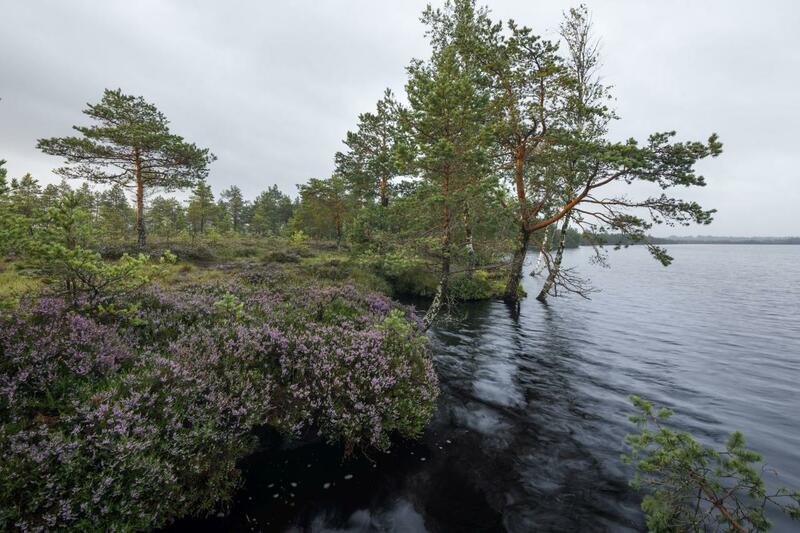 Almost all the characteristic successions and phenomena are represented in the Meenikunno Bog. 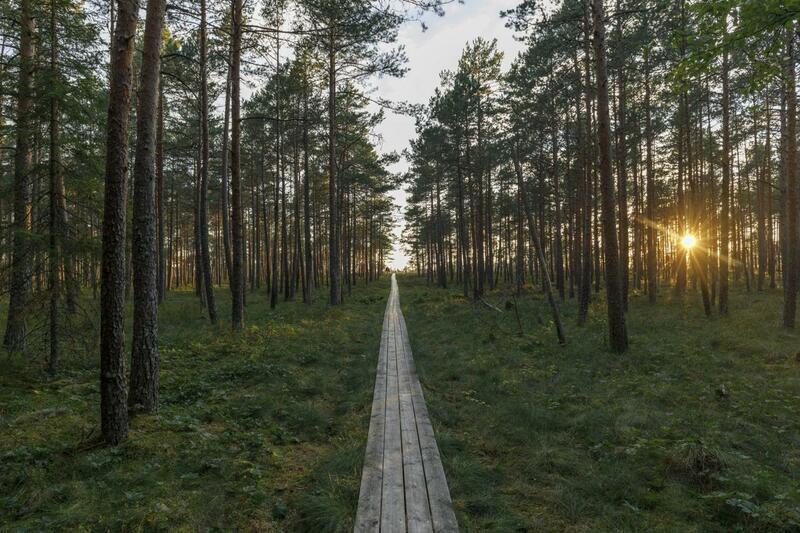 There is a hiking trail going across the corner of the bog – one of the biggest plankboard trails in Estonia that has a State Forest Management Centre forest hut in both ends (one for free use, the other available for booking) and also an observation tower in the southern end. There are two lakes northeast of the bog. Nohipalo Mustjärv (Nohipalo Black Lake) and Nohipalo Valgejärv (Nohipalo White Lake). 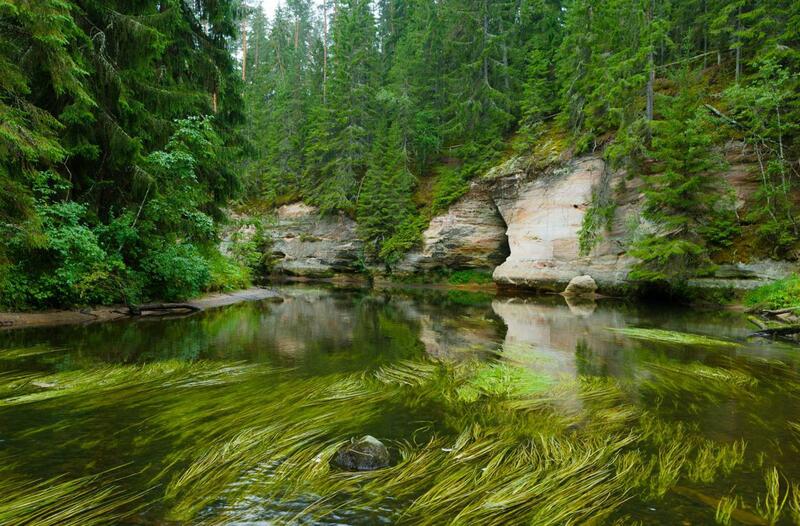 The Black Lake has one of the brownest waters and the White Lake has one of the clearest waters in Estonia. 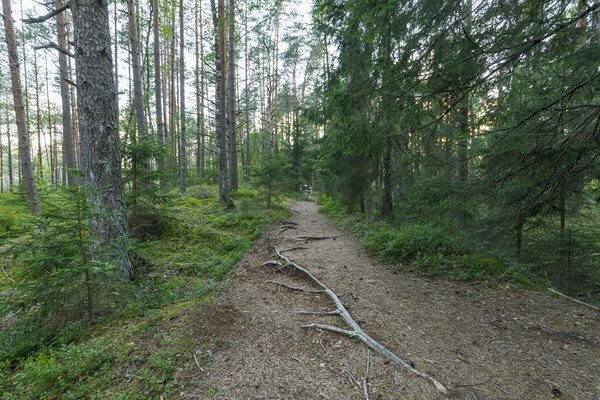 There are two mighty sandstone outcrops by the Ahja River – Suur Taevaskoda (The Large Heaven’s Hall) and Väike Taevaskoda (The Small Heaven’s Hall). The big sandstone outcrops where one wall is the outcrop, the other is the forest, and the roof is the sky were called Heaven’s Halls. The Large Heaven’s Hall is a beautiful natural acoustic hall that is formed by a 24-metre sandstone wall and an open grass field stretching below. The Small Heaven’s Hall is a little upstream from the Large Heaven’s Hall and here, the height of the sandstone outcrop is 19 metres. The springs have eroded two caves into the walls of the sandstone cliff: the Virgin’s Cave and the caves of the Mother Source. Each second, 4 to 4.5 litres of water flows from the Mother Source to the Ahja River, the water temperature is 6 degrees Celsius all year round. On June 27, 2013, the cave collapsed because of the impact of the forces of nature. By the summer of 2014, the spring water had flushed away most of the shattered sand from the opening of the cave and it is partly observable again. 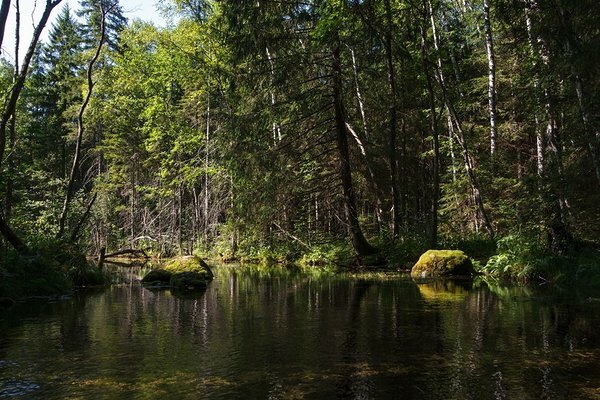 A little sideways from the hiking trail, about a kilometre deep into the forest are one of the most beautiful springs in Estonia - the Springs of Vilbaste in the Võlingi River. 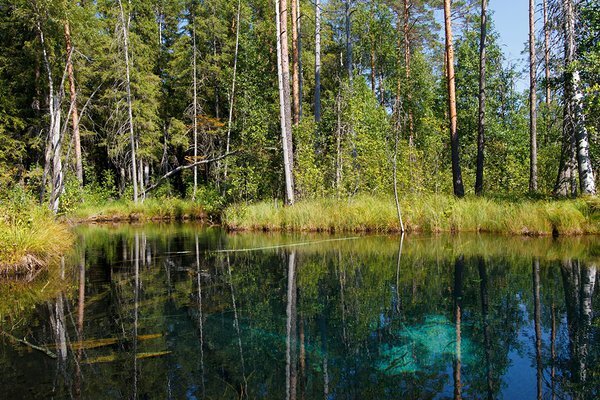 The most beautiful and well-known of the springs is the Blue Spring of Jõepõhja. It is a big, bright blue spring, bubbling energetically at the bottom of the river – the colour is caused by the fine precipitated particles of clay and limestone. 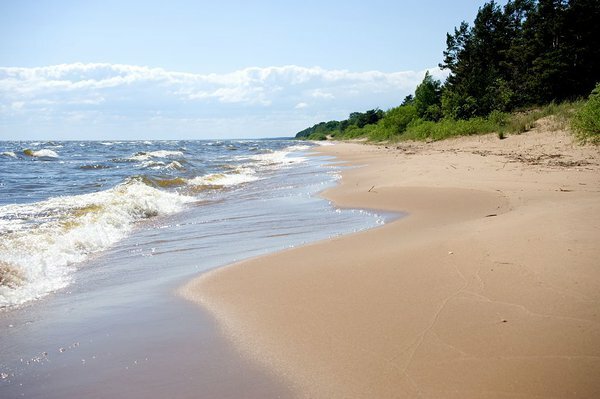 The widest and most beautiful seaside sandy beaches are situated by the Gulf of Riga. 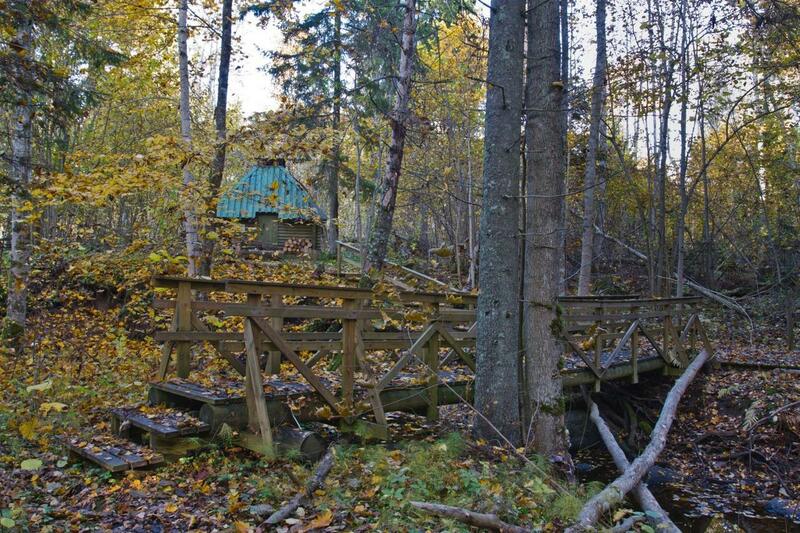 A piece of forest in Laiksaare is situated in flooded forest – a forest community that is quite rare in Estonia. 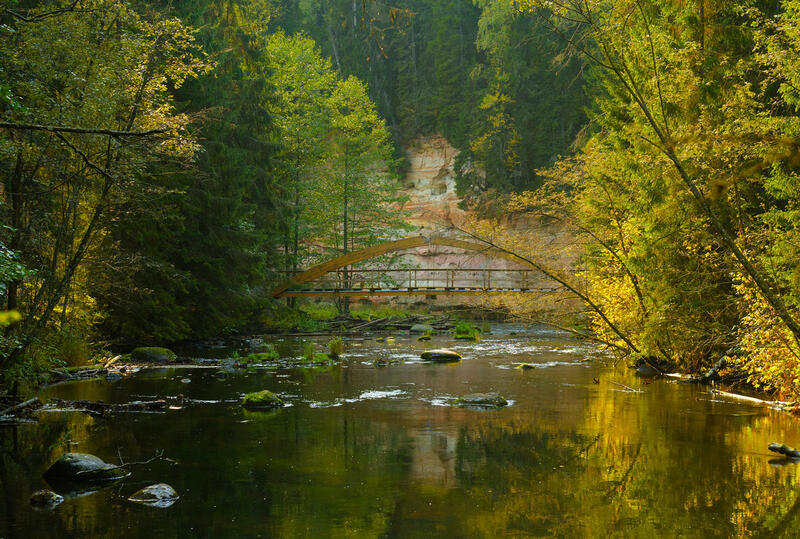 The Rannametsa River, which, during summer, is such a beautiful and small romantic brook, overflows during the spring flood and floods the big forest areas. 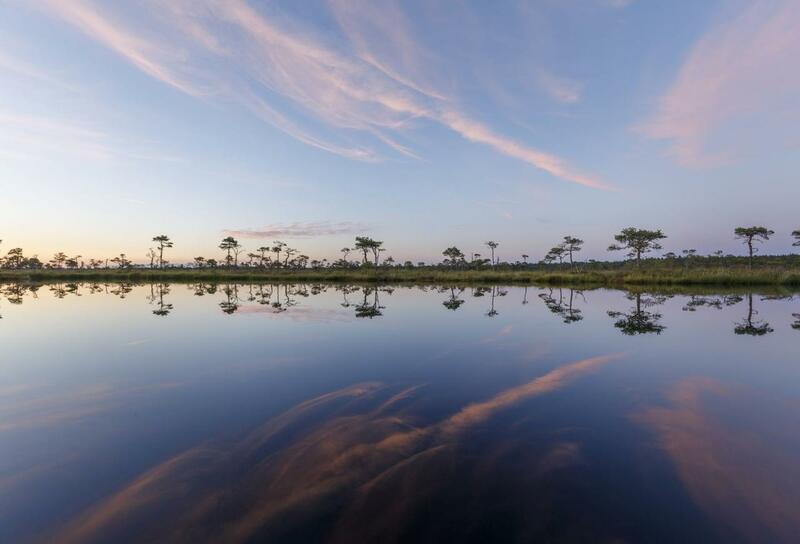 The soil of the flooded forests is very fertile and rich in humus; therefore, the ground vegetation is lush and diverse while the tree layer is relatively sparse because a lot of the trees can’t stand the constant flood waters. 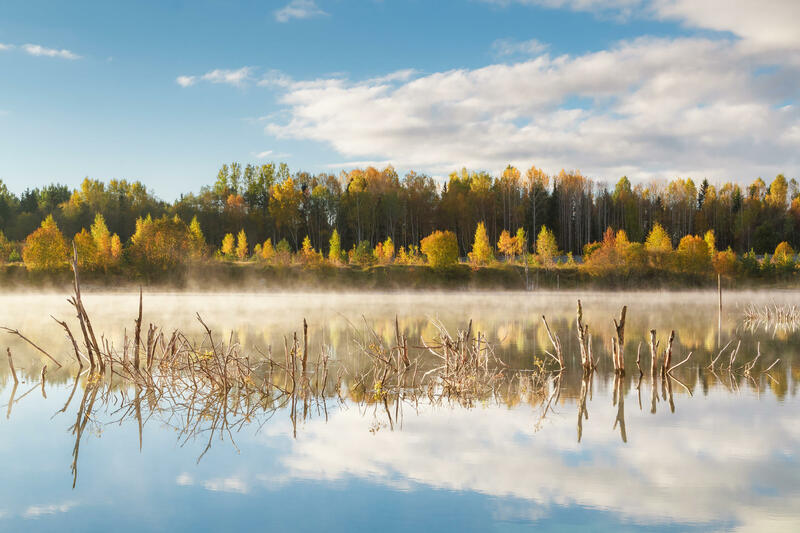 Because of the fertility of the soil, the flood plains and flood meadows of the rivers are tempting crop lands, which is why a lot of the former flooded forests have now been turned into fields. Hüpassaare Bog is a part of a bigger bogged area – the Kuresoo. 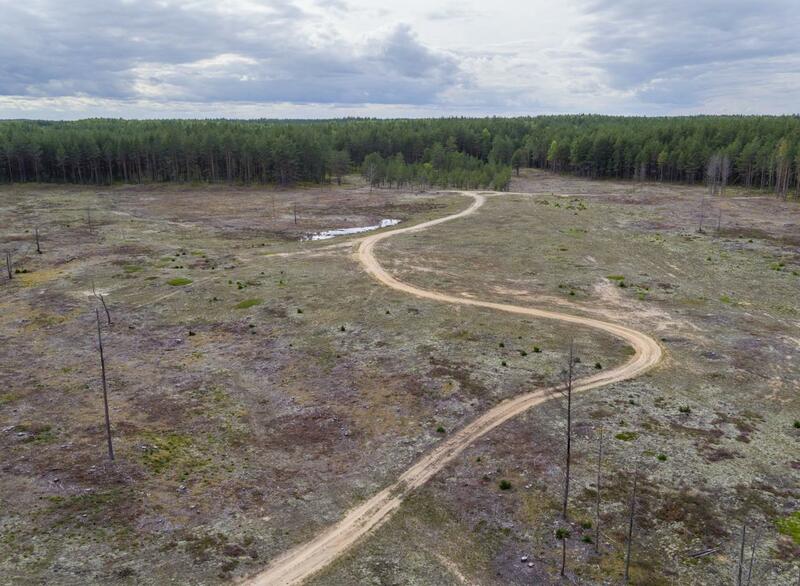 Kuresoo is the biggest uniform bogged area in Estonia and the highest bog in Europe (most likely the entire world) – the dome of the bog is 8-9 metres above sea level. 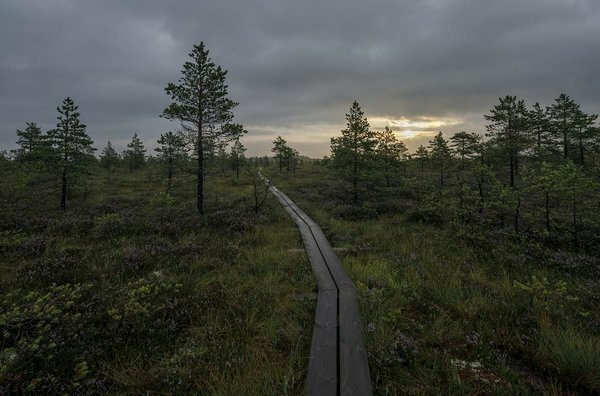 There is a perceivable incline at the edge of the bog that makes going onto the bog seem like going uphill. The steepest dome is, of course, on the western side of the Kuresoo Bog, in the Riisa Bog. In its essence, high moor or raised bog is a giant sponge that grows higher and higher in the middle, storing more and more water. 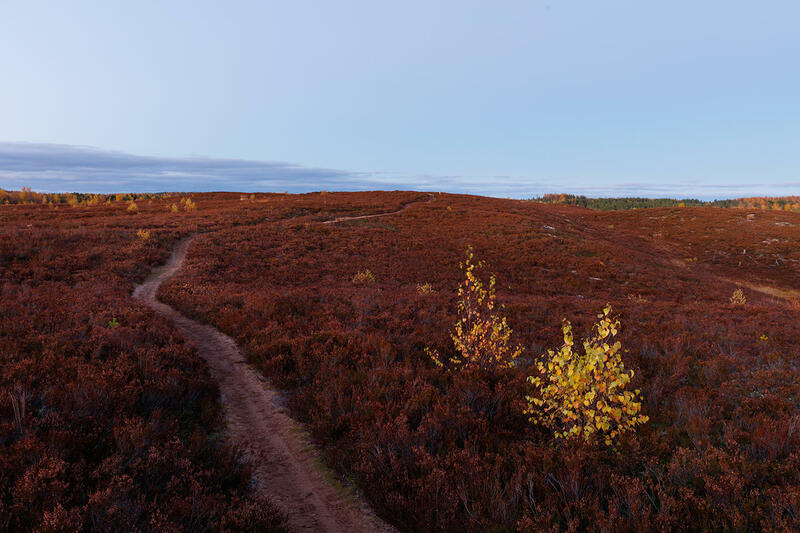 The old bogs might seem like big hills that are clearly higher than the land surrounding it, therefore the name – high moor. 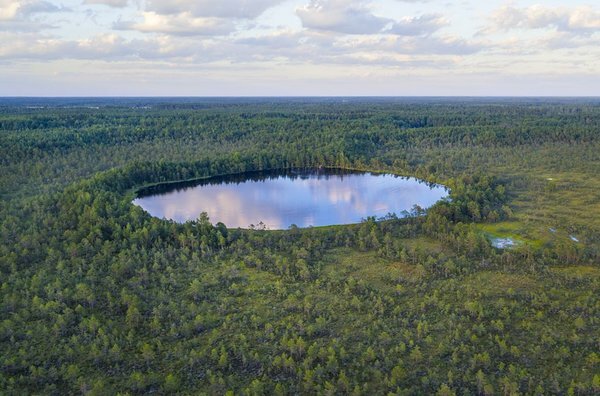 There are a lot of mire lakes and bog lakes in the bogs of Estonia, Lake Loosalu is situated in the middle of the Loosalu Bog, which is the biggest bog lake in Estonia, being 35.2 ha in size. A lot of the bogs have formed as a result of the vegetal invasion of the ancient lakes, same is true for the Loosalu Bog. The current bog lake is the last remnant of a big lake that formerly spread here. Nowadays, the vegetal invasion of the lake continues. Every year, the sphagnum moss takes another small piece of the lake, and it can be assumed that in a few hundred years, there will only be a tiny bog pool where the beautiful lake now stands. 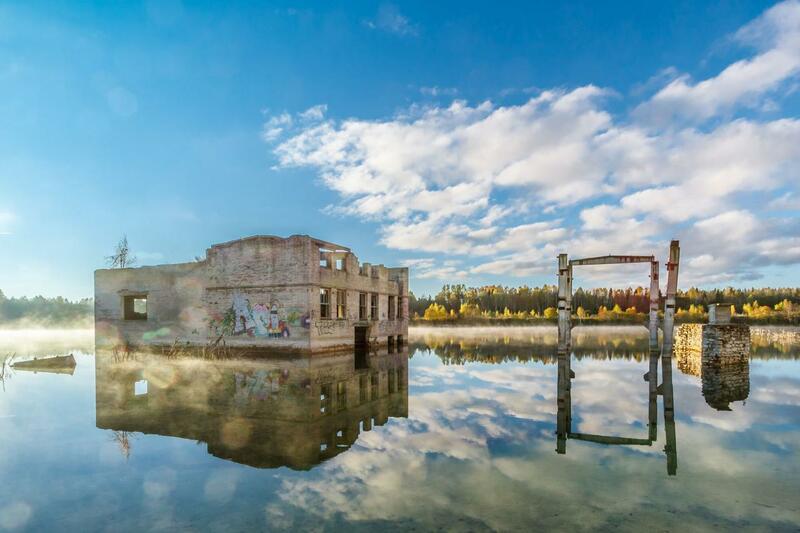 The water reservoir of Paunküla is not really a natural body of water. 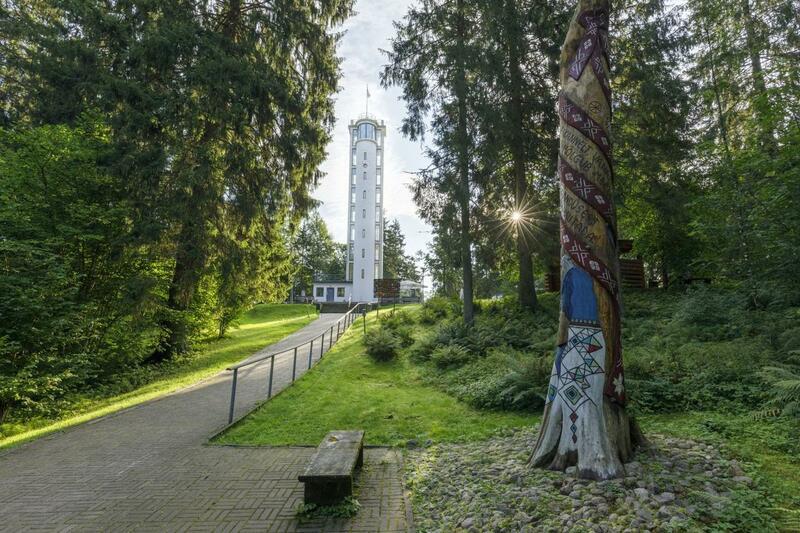 It was founded in 1960 in the upper course of the Pirita River to increase the water supply of Tallinn. Pirita River that flows through the water reservoir of Paunküla is connected by a canal with Lake Ülemiste that is the main water reservoir of Tallinn. 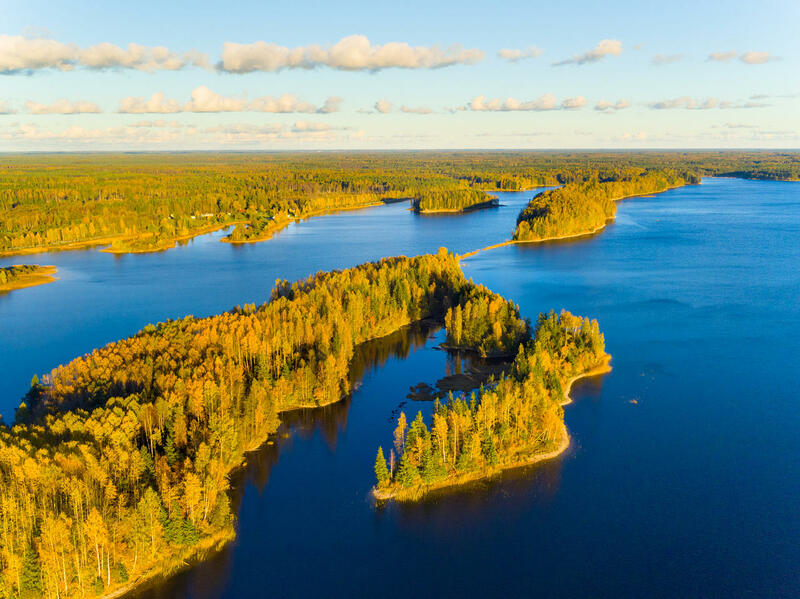 During the damming of the lake, three former lakes were inundated by the water reservoir – the lakes of Tudre, Väike Seapilli, and Suur Seapilli. 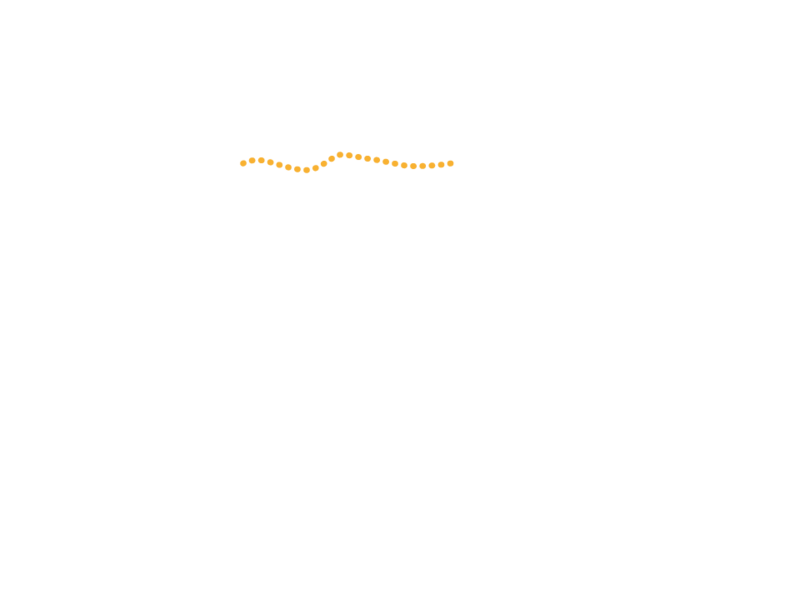 From 1975 to 1976, the capacity of the water reservoir was increased even further. 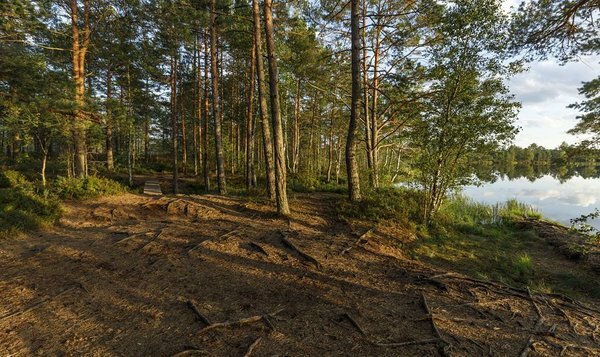 The riverbed of the Pirita River along with the lakes form approximately one twentieth of the area of the water reservoir. The flood meadow of Kasari, with its approximately 4000 hectares, belong to one of the biggest treeless flood meadows preserved in Europe. The protected part of the flood meadow is about 14 kilometres in length and, in places, up to 7 kilometres in width. 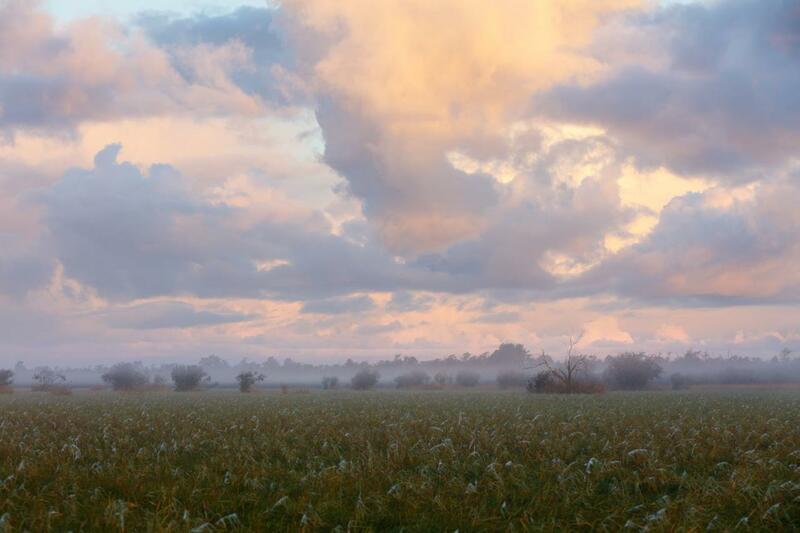 Throughout centuries, the flood meadow of Kasari has been a traditional grassland, cows have also been herded here. 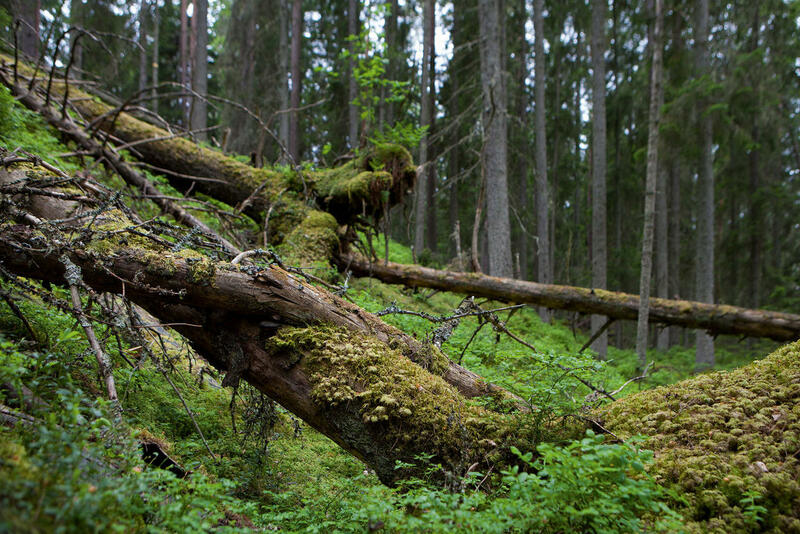 Because of the yearly floods, the soil is very nutrient-rich. 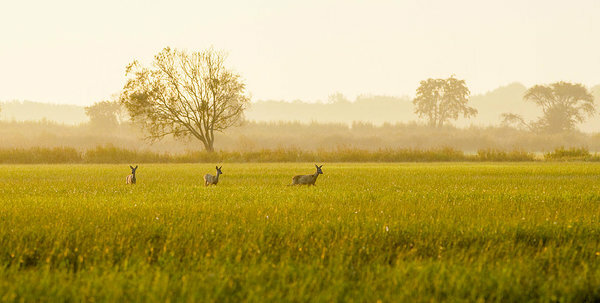 The preservation of the flood meadow of Kasari depends directly on human activity. 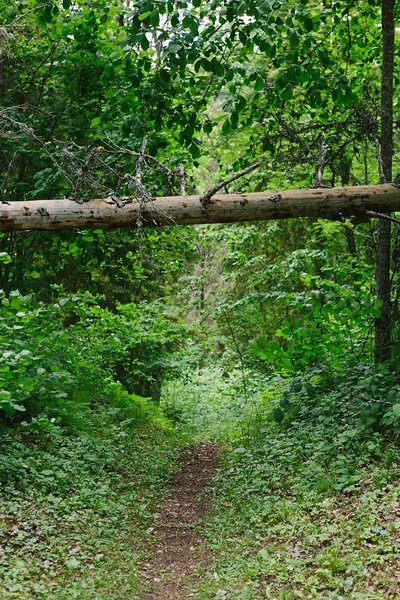 When the mowing stops, these areas will inevitably overgrow. The treeless flooded meadow that is taken care of is a very important nesting area of the corn crake, spotted crake, and the great snipe; from waders, lapwing, curlew, snipe, black-tailed godwit, and others nest here. In summer, moose, deer, and molting cranes gather to the flood meadow; you can also often see the white-tailed eagle sitting in a tree. 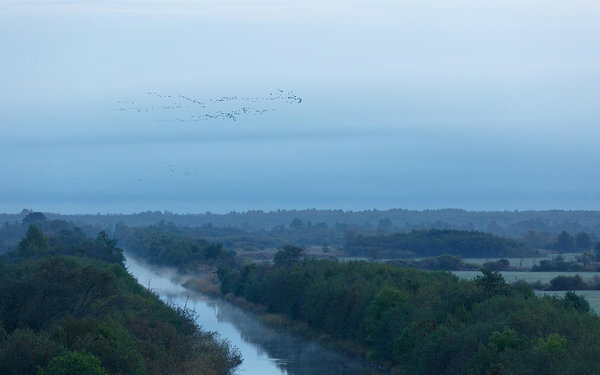 You can get the best overview of the flood meadows from the observation tower of Kloostri, situated on the left bank of the Kasari River. Järtas are not the tents of the indigenous people of Arctica (those are called yurts, “jurtas”) but small karst lakes that appear and disappear depending on the water level. 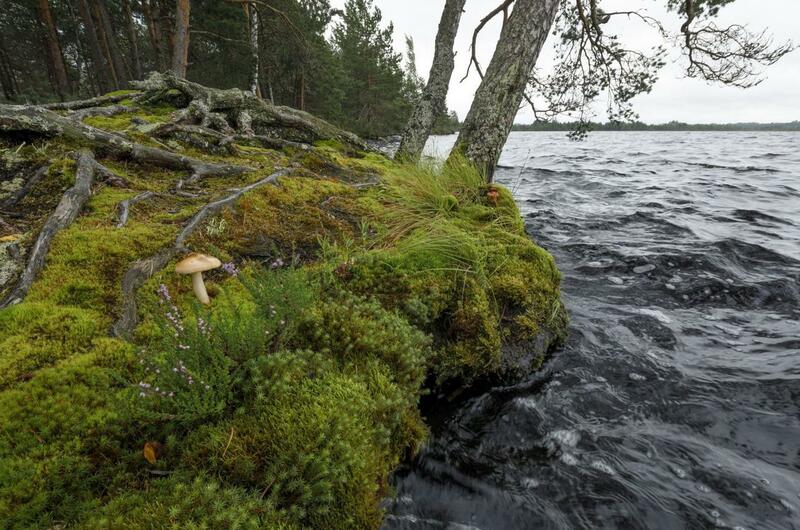 Märjamaa, which is quite a dry area, turns oddly wet during a humid period, for example, the spring flood – in many places around Märjamaa, small lakes appear that disappear once the flood has receded. The reason for this is that Märjamaa is situated in a karst area – karst is a phenomenon where the water flowing through the limestone cracks in the soil creates temporary bodies of water, complicated spring systems, underground rivers, and the like. Because the limestone bedding plane is relatively close to the surface in North Estonia, karst phenomena are quite common there. 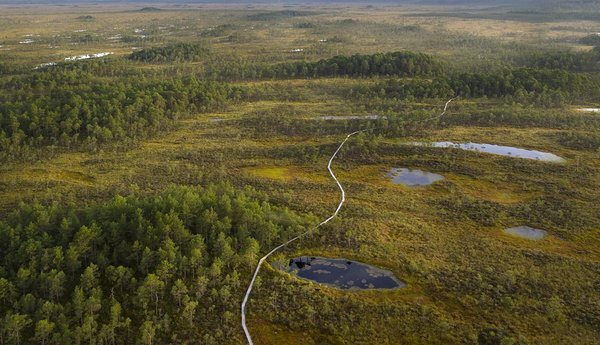 The bogs of Kõnnu and Rabivere are situated side by side, Kõnnu on the southern side and the bog of Rabivere on the northern side. Both bogs are relatively high and full of mire lakes. The bogs are situated in a depression, bordered by limestone plateaus. The thickness of the peat bedding plane is mainly 5 to 8 metres, the thickness of the entire overburden, though, is 10 to 15 metres. The surface of the bog rises in the southeast. 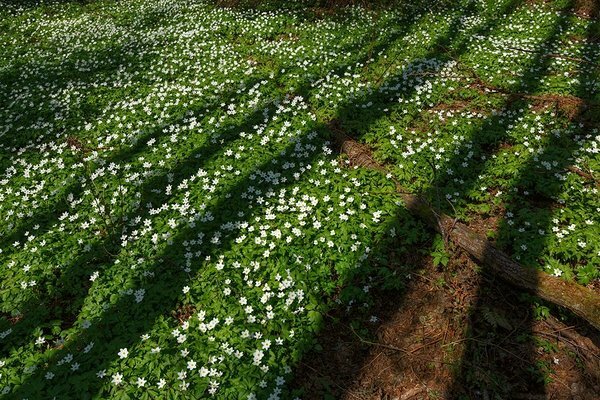 The entire array is characterised by flat plateau and a steep bog slope typical to West Estonia. In 1936, a mummified body of a female from the 17th century was found from the bog; the knitted articles found with her are known to be the oldest ones in Estonia so far. In connection with the previous, a folk legend of an orphan called Truta and her sad fate has been written down. There are divided eskers northwest of the water reservoir of Paunküla – the hills of Paunküla. 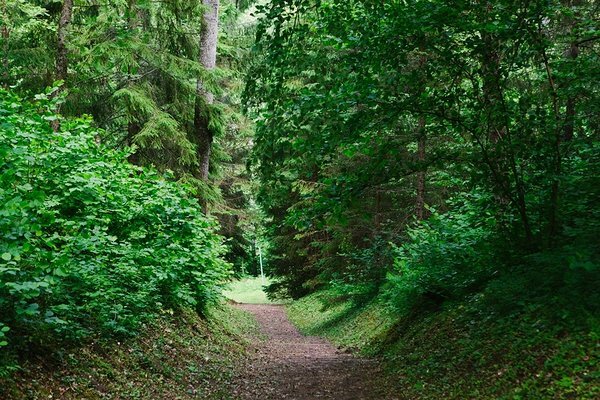 In fact, some of the eskers remained on the territory of the water reservoir while it was being created, and they became islands in the water reservoir; all the while, the areas west of the Tallinn–Tartu highway were left dry and are still the same as before. These are, again, landforms formed during the time after ice age, in between which, bog patches and small lakes are situated. 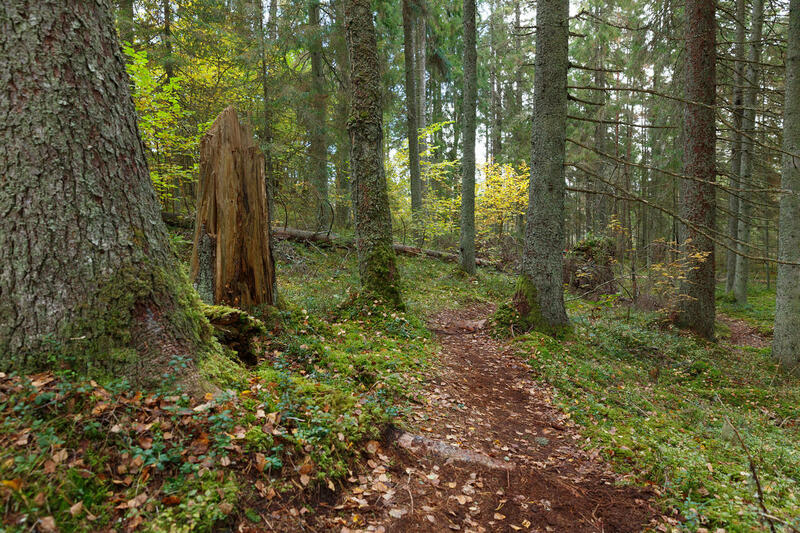 There are a lot of hiking trails in the hills of Paunküla, the total length of which extends to 14 kilometres.